Its a double bumper Fourth Birthday-Easter Edition! 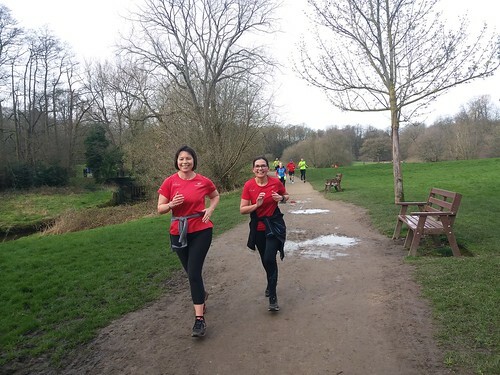 The Wilmslow parkrun Team have been a little busy over the last couple of weeks so it’s a bumper 2 for 1 edition this week. We’ll start with Saturday 13th April and Happy Birthday to us – 4 years old and where did that time go? The sun shone, the Prosecco corks were a-popping and there was cake everywhere. Beautiful sunshine but deceptively cold!!!!! 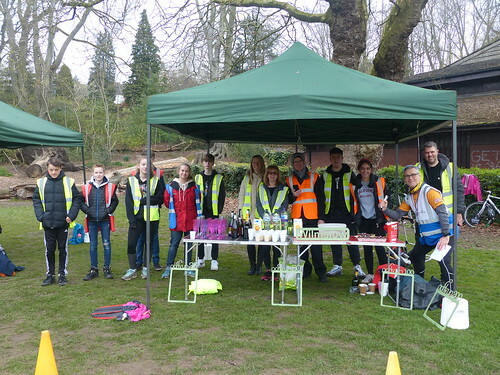 A great day all the same, 225 walkers, joggers, runners and around 30 volunteers helped us celebrate in grand style. 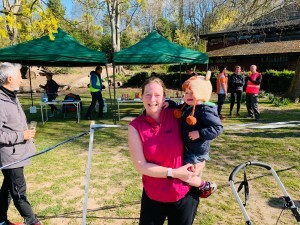 Since the very first Wilmslow parkrun we have covered 163,000Km, met 6,000 runners and a few of our first timers were also here for our birthday, Sam Hogg, Claire Northcote, Andy Dodd and me Bev the Bobble (Although now it’s getting warmer the bobble hat has been put to rest for the winter). I have to credit Ian Morton for all this information, I’ve just stolen it from his birthday event briefing. 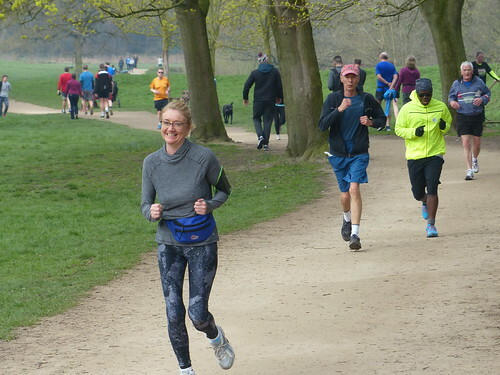 It feels fitting to mention on our birthday what a wonderful thing parkrun is. 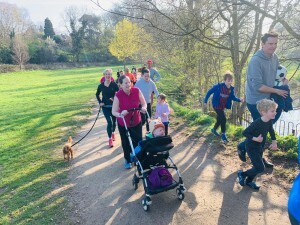 I have seen so many people come and join us, they keep going every week and have become fitter, healthier and faster over time and I’ve seen people make new friends along the way. 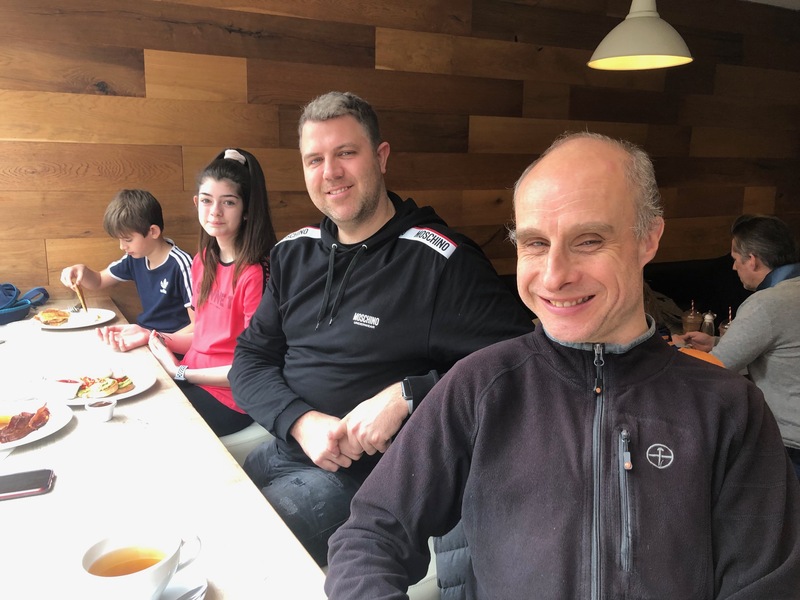 It’s lovely to see everyone having a chat and catching up over a bit of cake and it’s great to feel part of a community. 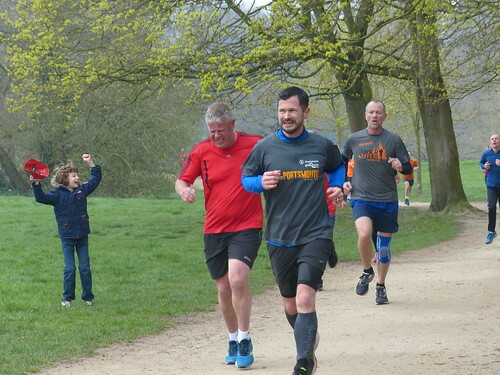 It was also great to see some of you wearing hard earned Manchester Marathon T-Shirts. 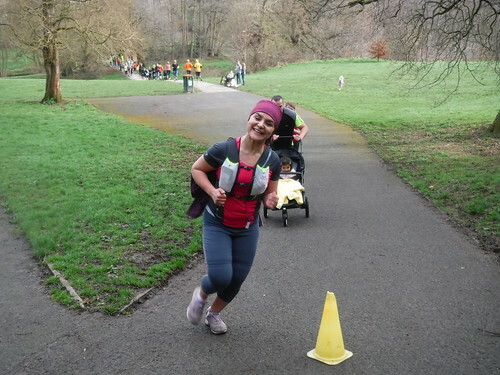 Anyone who can run or walk 26 miles is a hero in my book so well done to everyone. 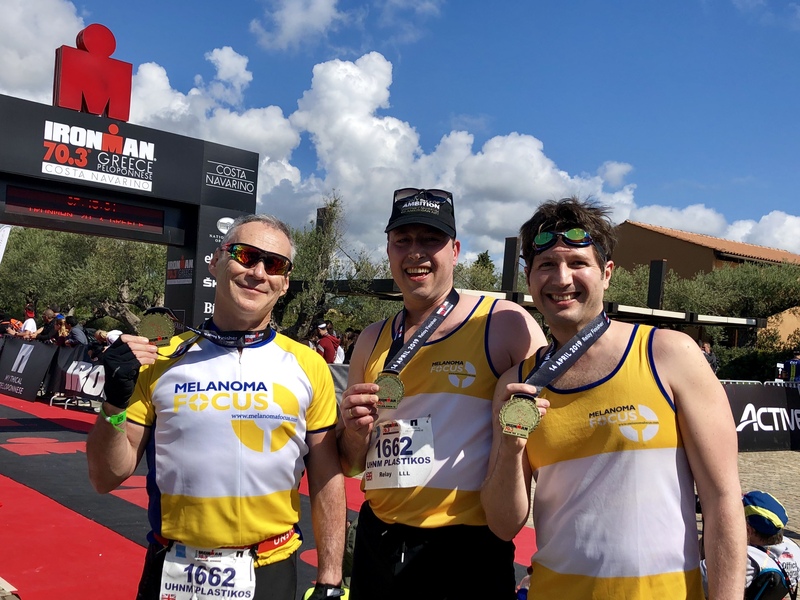 I would like to mention Richard Harrison and Markus Dalgaard as I know they both achieved great PB times of 3.09 and 3.24 respectively. 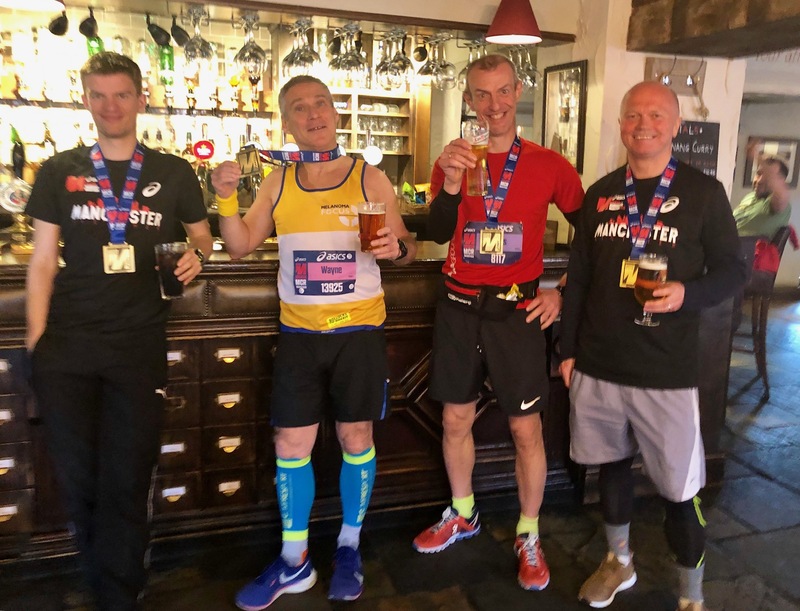 We also had a few of our regular core team taking part, Wayne Jaffe, Ian Morton and Klaus Dalgaard, not sure of their times but they all looked pretty chuffed holding a post-race pint and proudly wearing what I have to say this year was a very large medal! Wayne was away the next week taking part in a Melanoma Focus fundraising event at the Ironman 70.3 Greece Triathlon with 2 work colleagues, one who only started running 3 months ago at parkrun in Stoke. 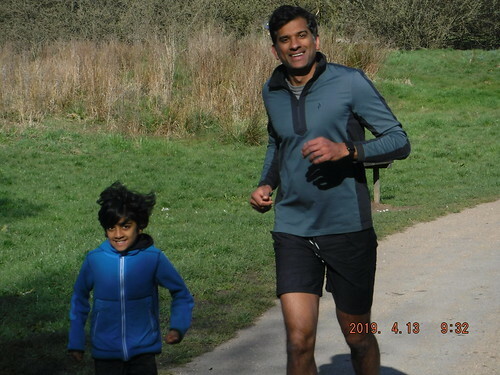 And so, to today’s run – Sat 20th April. 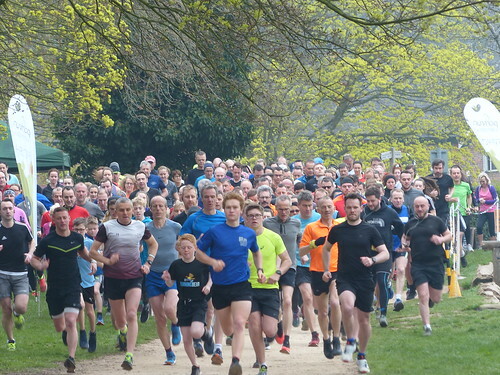 Easter Saturday and 274 people taking part in what can only be described as the first absolute scorcher of the year. Stunning blue skies, runners with sunglasses on rather than thermals and gloves, oh and Prosecco at the end, rude not to really. Being Easter weekend, we had a number of visitors today from Teesside, Richmond and Devon to mention but a few. 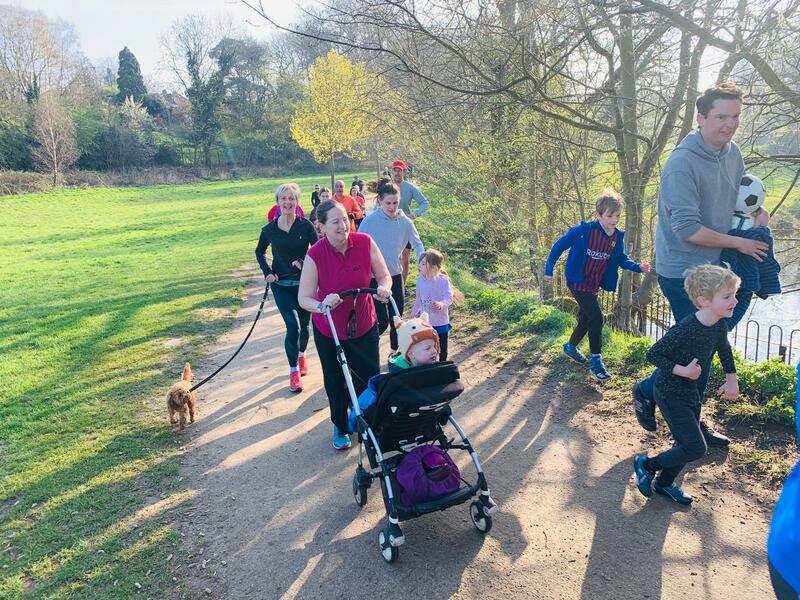 Everyone was visiting friends over the Bank Holiday and fitting in a bit of parkrun Tourism at the same time. 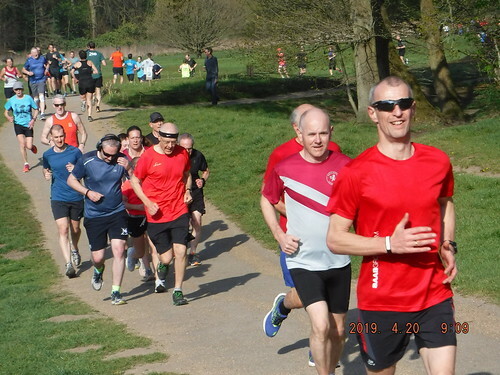 Colin paced at 30 mins and as always came in at the perfect time and in total 41 PB’s were achieved today, must have been all that sunshine inspiring you all. 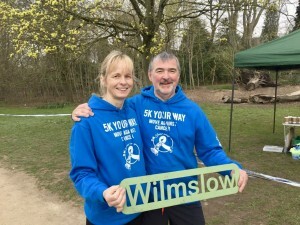 Don’t forget next week it will be our great pleasure to welcome back the 5K Your Way Move Against Cancer Team back to Wilmslow. Such an amazing group of people and hopefully the adorable Jake will be with us again, I’m a big fan and looking forward to his next little video already. In preparation for next week a few useful reminders. Don’t forget to bring some change if you are using The Carrs car park, it’s about 20 to 30p depending on how long you are staying. 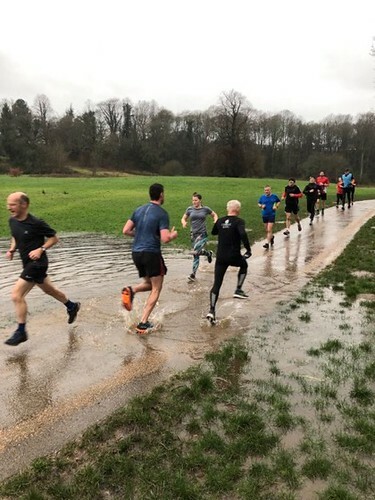 If the carpark in The Carrs is full there are other car parks available, one at the other end of The Carrs, (free) or in Waitrose in town (free for 2 hours) just in time to fit in a warm up from the car park, run your 5K and have a bit of a catch up and chat or coffee at the end at Café Azul or Nourish. Congratulations go to Peter Speake, Luke Mendham and James Speedie. Phillipa Michell, Sue Harrison and Laura Key. Our Birthday event first timers were Ana Sousa, Sam Pearce, Leanne Claxton, Claire Bulcock, Helen Clark, Gail Earnshaw, Holly Pearce, James Taylor, Jack Pearce, David Pearce and Jim Brimble, We hope to see you again soon. 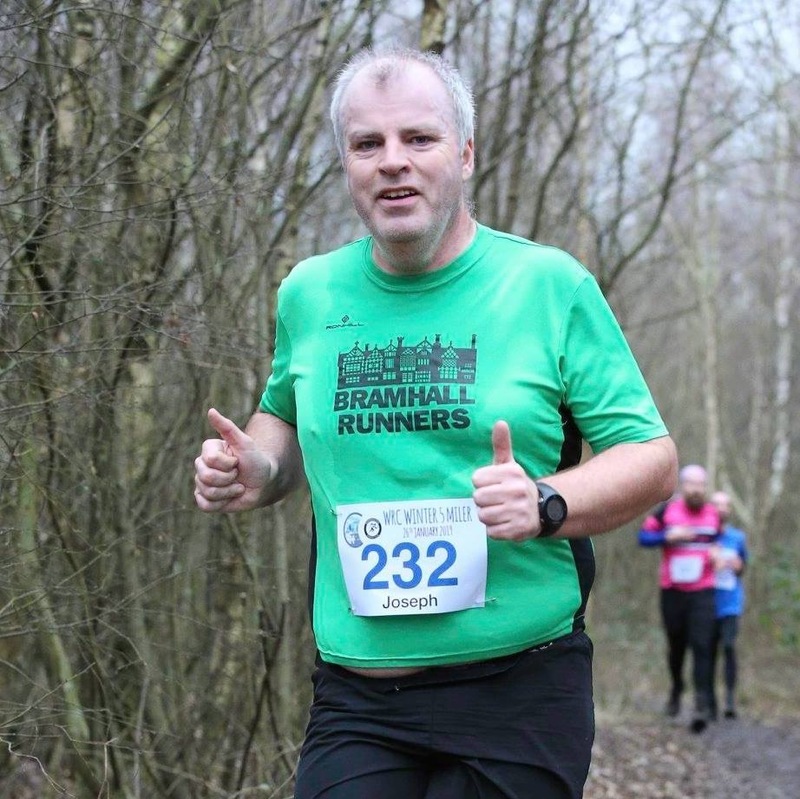 We also want to congratulate John Heyworth on his 50th run, the red t-shirt will soon be yours! 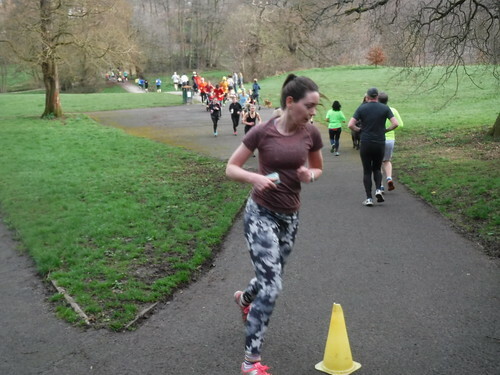 Results - Saturday 20th April. Francesca Millea, Danny Iskalachi Jones, Doug Day, Helen Jones, Dan Pratt, Ruth Loggie, Isabel Cowan, Joe Molt, Anthony Cox, Joe Wilson, Pankhil Parikh, Teix Bollingbroke, Raco Bollingbroke and Michael Bollingbroke. 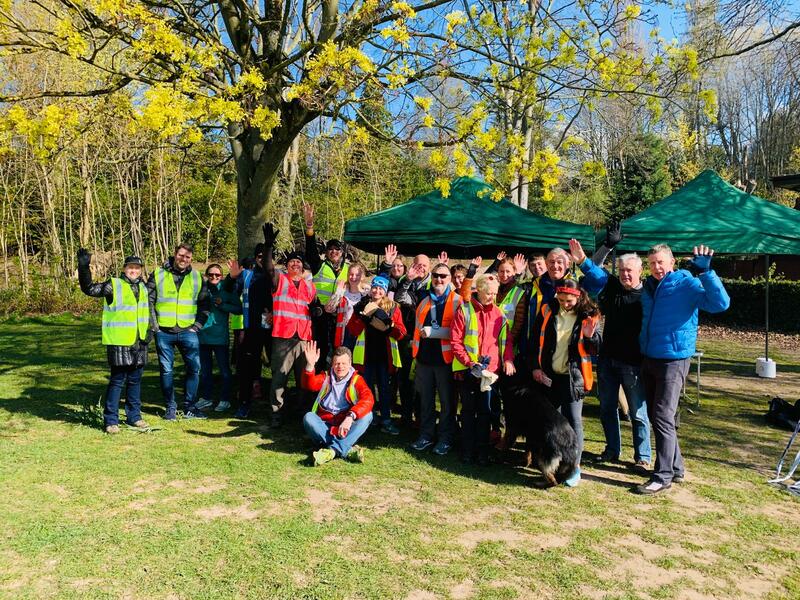 As always, a massive thank you to all the volunteers, we could not do this without you. And you all got some much-deserved dry weather and sunshine. Long may it continue. If you would like to volunteer, please email into the office and we can add you to the list. We hope you all had a wonderful Easter Weekend and see you all next week! Check out all the pohotos taken by Roger whitehead and Wai Hong Shek in our Flickr feed. 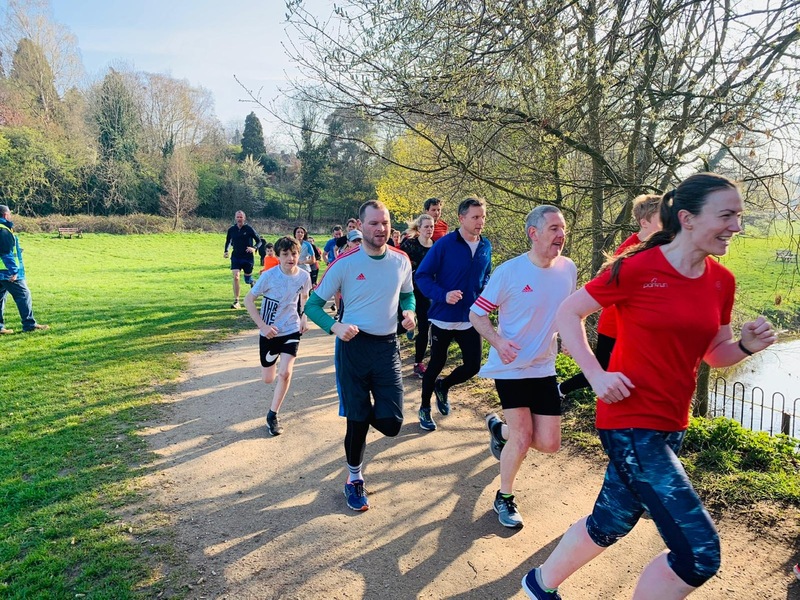 This week 275 people ran, jogged and walked the course, of whom 41 were first timers and 41 recorded new Personal Bests. Representatives of 25 different clubs took part. 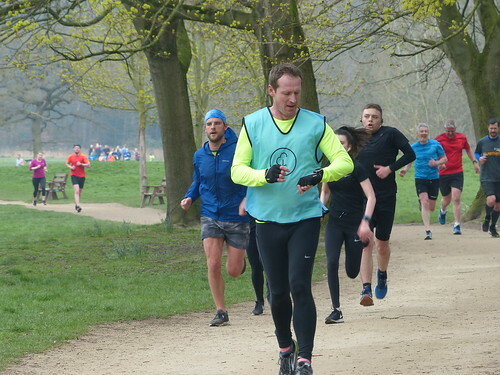 Today's full results and a complete event history can be found on the Wilmslow parkrun Results Page. 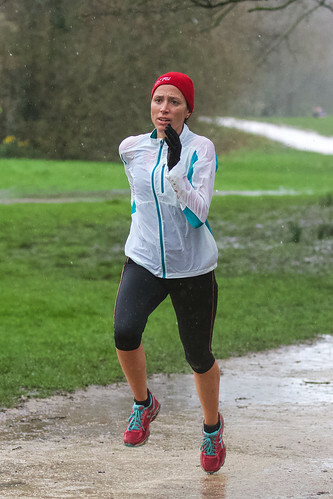 The female record is held by Diane Elizabeth MCVEY who recorded a time of 18:08 on 2nd September 2017 (event number 125). 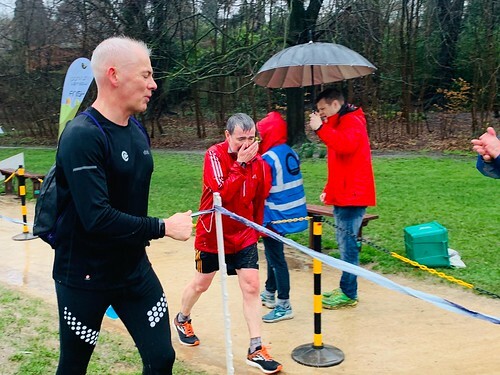 The male record is held by Daniel CLIFFE who recorded a time of 15:46 on 29th December 2018 (event number 197). 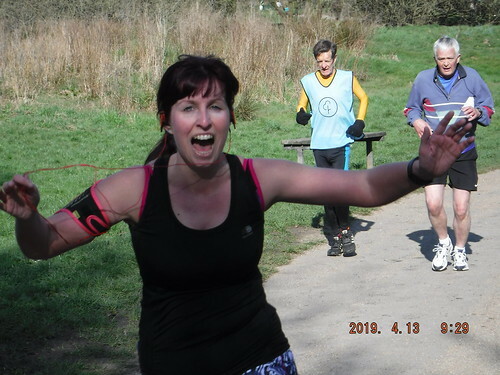 The Age Grade course record is held by Treena JOHNSON who recorded 92.99% (19:44) on 23rd March 2019 (event number 210). 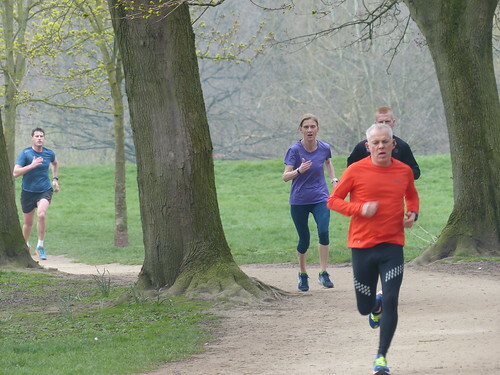 Wilmslow parkrun started on 11th April 2015. Since then 6,057 participants have completed 33,143 parkruns covering a total distance of 165,715 km, including 6,255 new Personal Bests. A total of 440 individuals have volunteered 4,625 times. That’s almost 4 years folks! 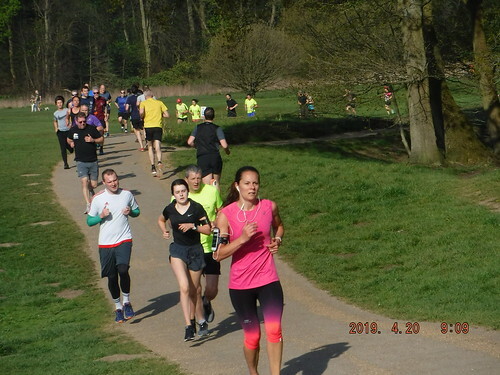 The sun was shining, the sky was a glorious blue, the trees were starting to bud and there was a pretty large crowd at the start. Everyone was in a good mood. 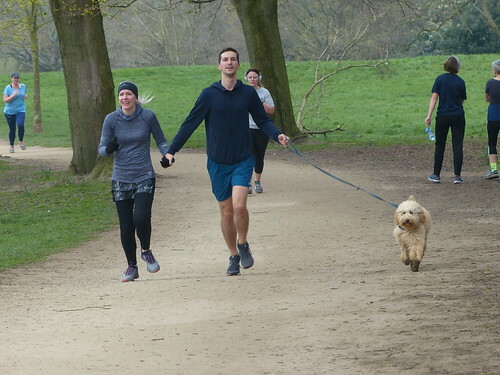 Clearly people need their weekly dose of green exercise to help them forget all the other issues going on in their lives at the moment. Don’t mention the B-word! 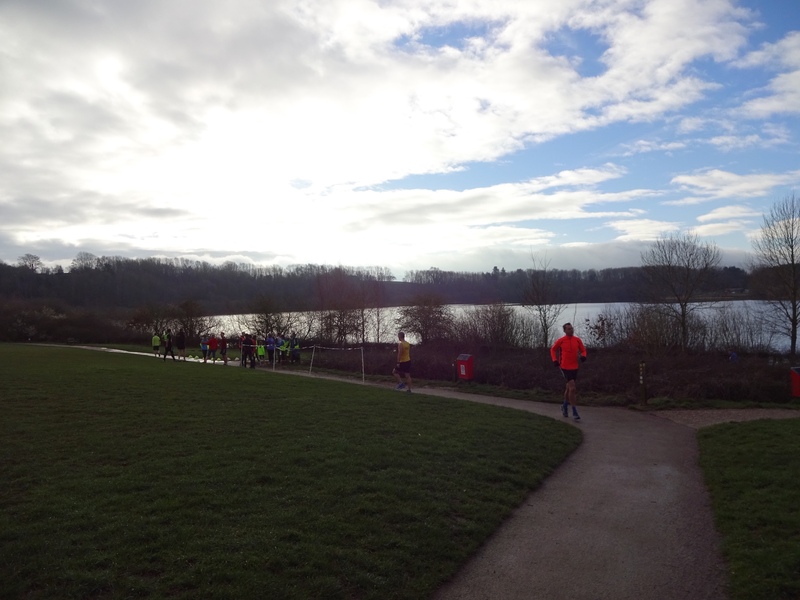 The temperature was a bit cool but warmer than of late, in other words we had perfect running conditions! 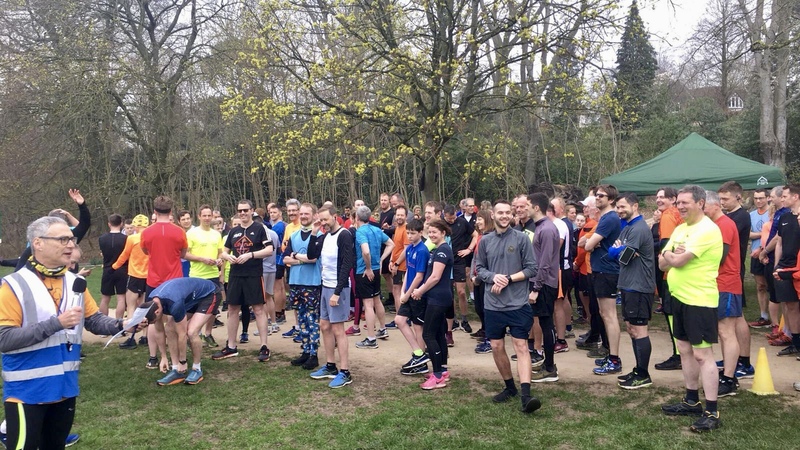 With the Manchester Marathon in the morning, many regulars were away keeping their powder dry but none the less the highest April attendance figure was recorded, 288! This was also our 4th highest attendance as we end our 4th year so clearly we can expect more of the same as the weather improves and our reputation spreads far and wide, did someone say Sydney? 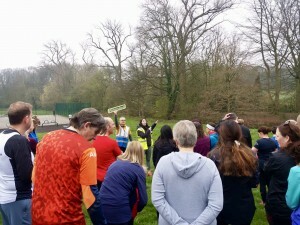 Thanks to the Core Team members Olivia Flannagan and Rich Hirons who delivered the first timers and run safety briefing respectively. 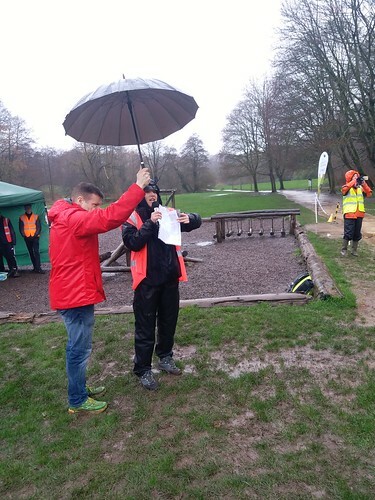 Thanks again to all the 30 odd marshals who were out on the course today and in the background as always. 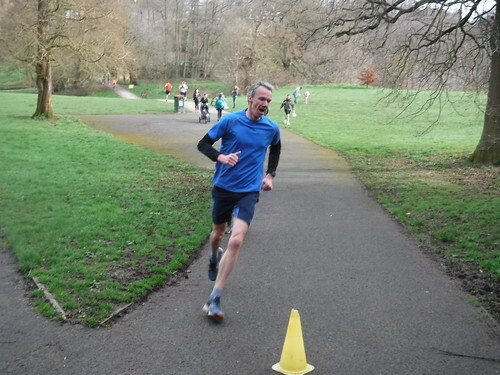 First male was Jim Pendrill, well done Jim for the 6th time as overall first finisher. 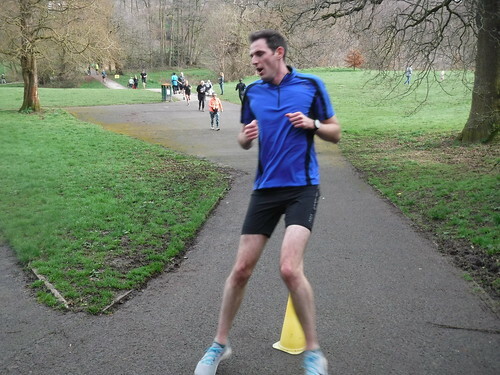 Next was Gareth Read, visitor Jonathan Kinnear was third fastest male. Amongst the ladies, Janine Ellis, was first female for her third time. Jennifer Bradley, a first time tourist was second female and Laura Keay was third fastest. Congratulations to all the podium people. 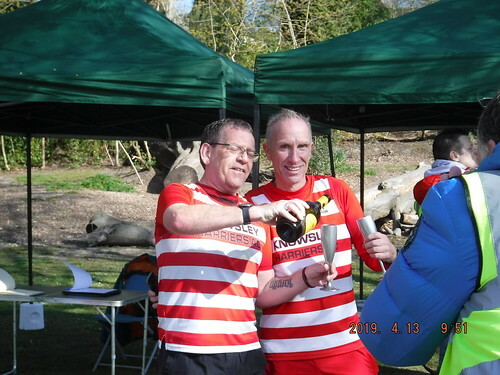 We didn’t hear of any milestones this week, but a quick scout of the results shows Barrie Powers and Brian Fox both achieved their 50th run and so they join the red t shirt brigade Why the secrecy guys? we love celebrating such milestones! If you do have a milestone do let us know in advance! 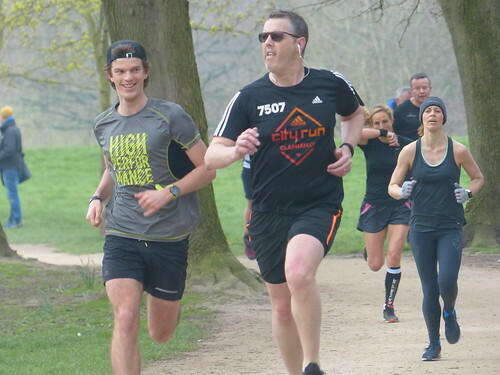 Next week will be a special milestone for all runners at Wilmslow; it will be our 4th anniversary birthday party! So hopefully we will have a lovely happy day and maybe some treats? Don’t be shy, lets all bring something to share! 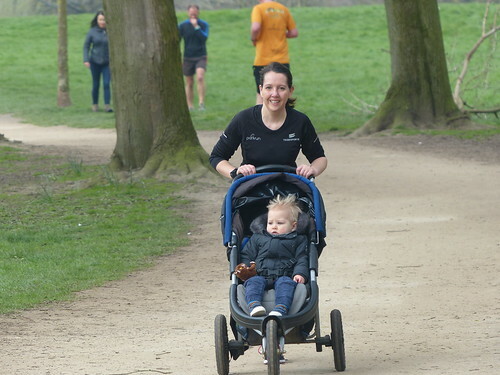 Welcome to all the first timers today, it was a great day to see parkrun at Wilmslow in all its glory, so a big welcome hug to our dozen debutants, Emma Maslin, Johanna Milner, Mandy Dodd, Isla Applewhite, Camille Bonomelli, Katy Reddiough, Matthew Young, Charlotte Fortun, Deborah Carleton, Kerry Erskine, Finlay Jones and Alex Kingsley. 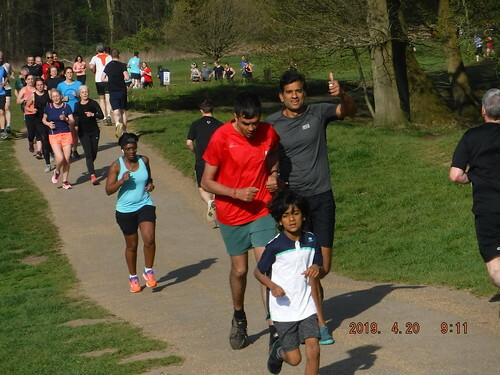 I am sure you all had a great time and hope you will be back really soon to continue on your amazing parkrun journey. 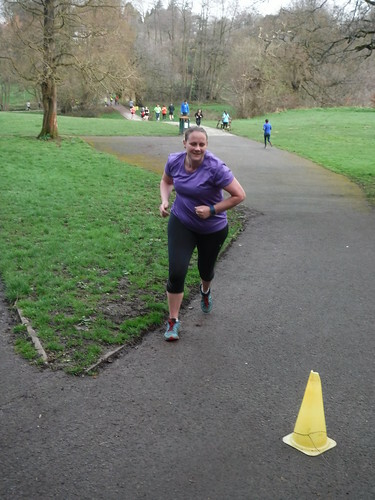 The second run is always the hardest so I love to highlight those who returned for their second parkrun and got a PB. 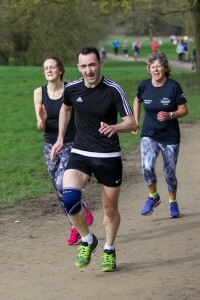 Fraser Sinclair achieved a third consecutive PB in his third ever parkrun at Wilmslow as did Lynette Downing and Gary Williams. Thanks to our pacers today, John Tasker at 32 and at 26. 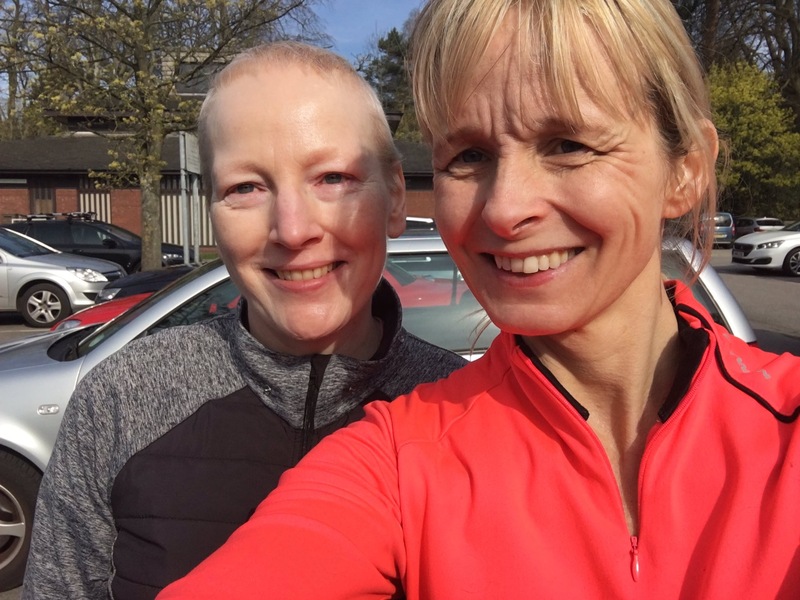 Also special mention again to Debbie Carleton who was accompanied around the course by Sara Harris, vice chair of Wilmslow 5KYourWay, well done both of you! 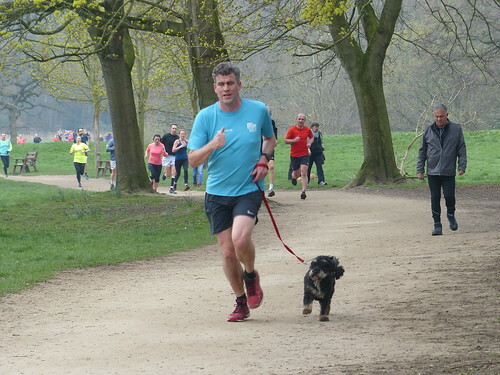 This week we have two extra contributions to enjoy, first here is a tourist runreport from last week’s 23 minute Ben Smithers from Preston who likes to add a run report to all the places he visits as a dedicated parkrun tourist, over to you Ben! Having undertaken a bit of parkrun tourism in my time it isn’t all that often that I can say I may have discovered a new favourite parkrun. 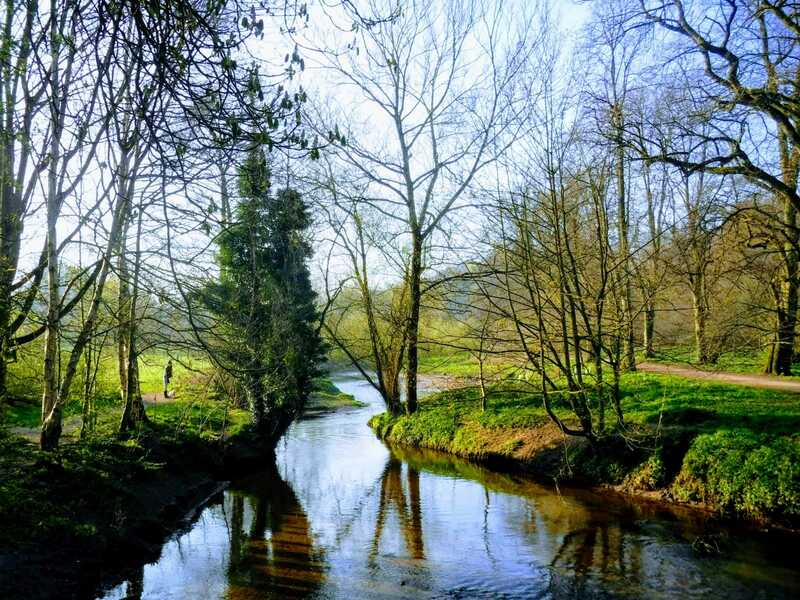 Well let me tell you, Wilmslow certainly comes very very close (I’m pretty sure my hometown Prestonians would view me as bit of a traitor if I DID made that claim). 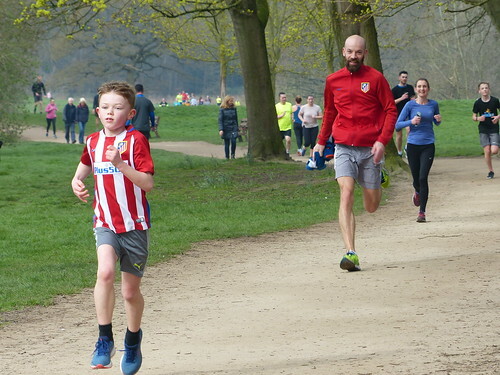 Upon my arrival at the start I could’ve believed I had walked into the start of a full scale race of the kind one might expect to pay tens of pounds for. Gazebos with refreshments at the ready, plenty of cake (I might have to mention a few milestones shortly) and a crack team of volunteers smiling and greeting everyone as we arrived. I sought out Wayne Jaffe who by all accounts is a stalwart of volunteering at Wilmslow. Indeed that morning Wayne was Run Directing, Processing the Results, Organising the Storage and Delivery of the Equipment AND writing a run report for the event. 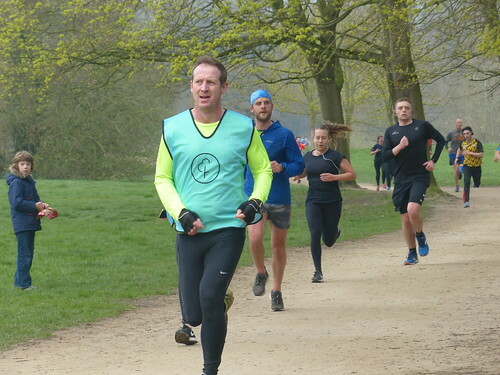 People like Wayne are the reason we are able to go and run a timed 5k with like minded people at 9am every Saturday morning. 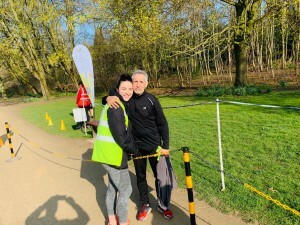 It’s worth giving a bit of volunteering a go every now and again so if you fancy any of the advertised positions over the next few weeks head over to www.parkrun.org.uk/wilmslow/volunteer and get your name down! Back on the point.... Wayne pointed me in the direction of the pacing vests for the morning and I grabbed my blue number 23 whacked it on and before long heard a voice calling us over for a first timers briefing. In all fairness I don’t think any of the people I met at Wilmslow need this reminder you were an awesome bunch! 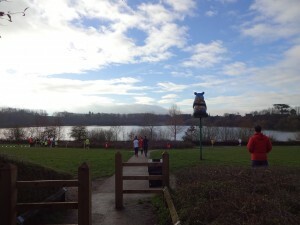 We also had a number of runners achieving milestones with us at Wilmslow on Saturday morning. 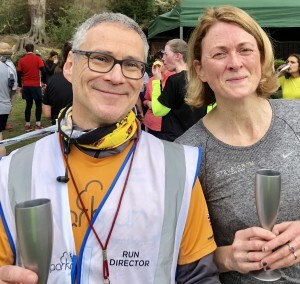 Simon Holman, Jim Kelly and Helen Louise John all completed their 50th parkrun's, Andrew Dodd and Anthony Collier meanwhile finished their 100th runs. HUGE CONGRATULATIONS TO ALL OF YOU! What a place to do it though, as I mentioned earlier I am now now arguably the Wilmslow routes number one fan. From one end of the park we ran along a picturesque party with beautiful greenery all around us. Plenty of marshalls also lined the path shouting encouragement from the sidelines. 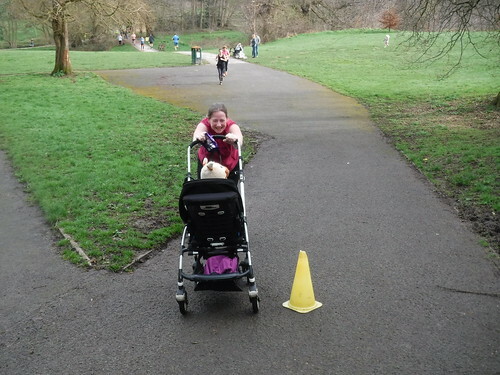 At each end of the park we had a slight incline just for a bit of variation (and forcing a bit of extra effort out of me to make sure we hit the 23 minute mark.) 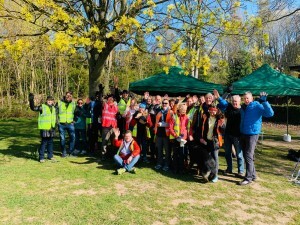 After doing this twice and shouting thanks to all the awesome volunteers we were soon back at the gazebos where their was a plethora of cake waiting for us. And there were definitely celebrations to be had as several people thanked me for helping them get PBs. All credit to them after all it was you guys who put effort in to smash some brilliant times! And let that be said for all at Wilmslow this Saturday! 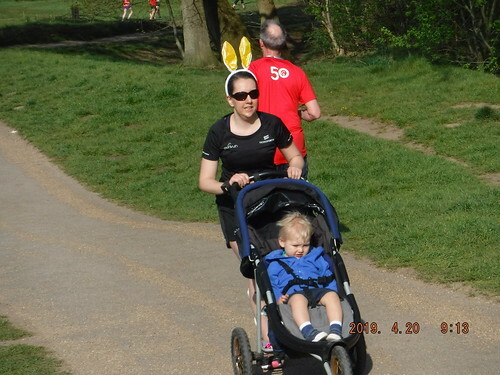 It’s easy to see that you have a brilliant parkrun to which I will hopefully return before too long to get my very own PB! Until then THANK YOU AGAIN and SEE YOU SOON! Thanks Ben, but of course there are lots of volunteers who are in the background, however, the cheque is in the post! The parking used to be free with a donation of 50p requested and a big team of marshalls organised the parking and squeezed about 100 cars into a car park designed for about 75. Now you have to pay and park in designated spaces, it fills up quickly and although you can also park on the road leading up to the entrance, this also gets full now so don't arrive too late. 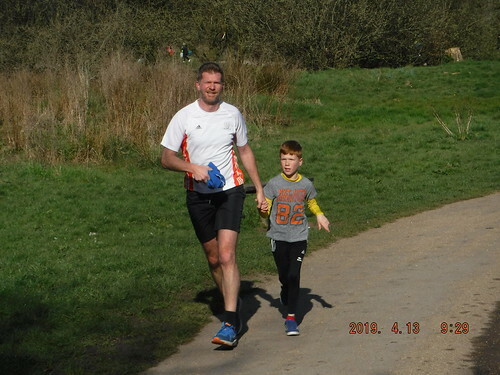 You might have noticed Adrian Stores and his son kicking a football around the finish area, Adrian is from the Bobby Charlton Soccor School and is joining parkrun having been impressed with the event today. Thank you everybody for being a part of this special community; let us have a great party next week, all contributions welcome to the party tent gratefully received! Finally good luck to everyone running the Manchester Marathon in the morning, I need to get an early night! 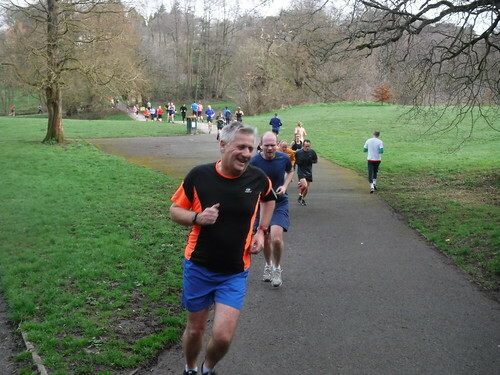 This week 288 people ran, jogged and walked the course, of whom 46 were first timers and 48 recorded new Personal Bests. Representatives of 32 different clubs took part. 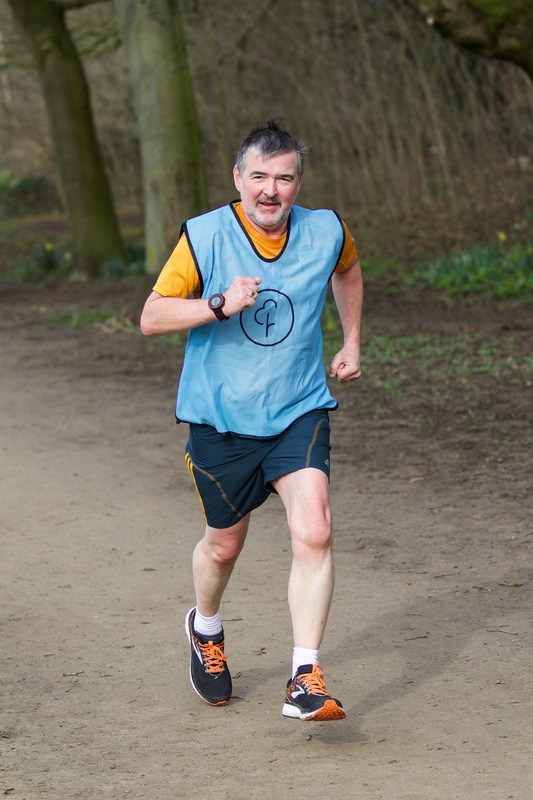 Wilmslow parkrun started on 11th April 2015. 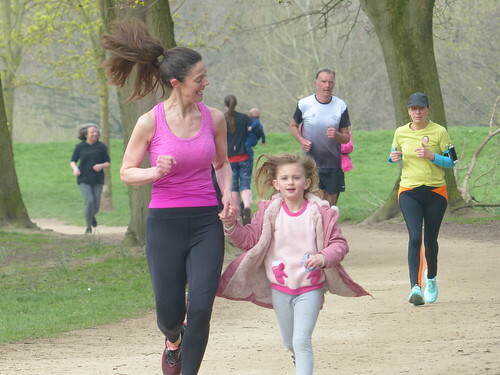 Since then 5,984 participants have completed 32,643 parkruns covering a total distance of 163,215 km, including 6,172 new Personal Bests. A total of 436 individuals have volunteered 4,560 times. 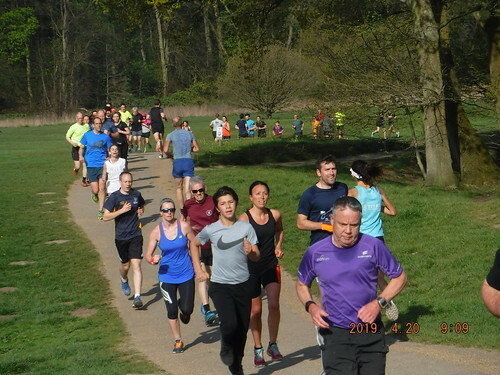 Once again the Carrs exuded a fabulous atmosphere as Wilmslow parkrun welcomed back 5KYourWay to their midst. And once again the stand out star was Jacob Evison, perched high on his dad, Matthew’s back. 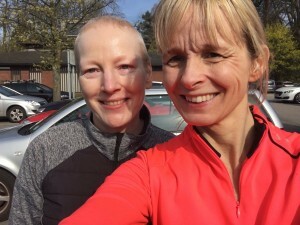 It is down to the efforts of one parkrunner in particular that we have this cancer support group here at Wilmslow. That guy is Tony Collier, though he will be the first to acknowledge the support he has received from others, notably his family and Sara Harris, who is his deputy and pictured here with Tony. 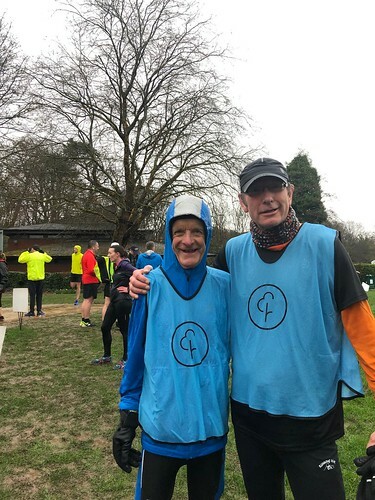 However the achievement Tony celebrated today was all his, Tony has reached his 100th parkrun, in Wilmslow, just over 2 years since he first received his diagnosis of advanced prostate cancer. So a huge Congratulations to Tony on reaching this milestone in less than ideal circumstances. Thanks for bringing all the lovely treats, ably helped, well baked, by his wife and companion, Tracey. 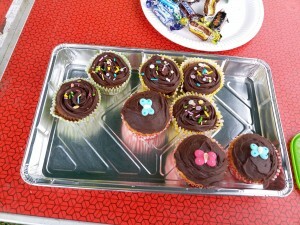 The celebrations overflowed today with boxes of, Celebrations, as well more homemade cakes. Andrew Dodd celebrated his 100th as well! Helen Louise John reached her 50th today. We also congratulated Jim Kelly on his 50th. 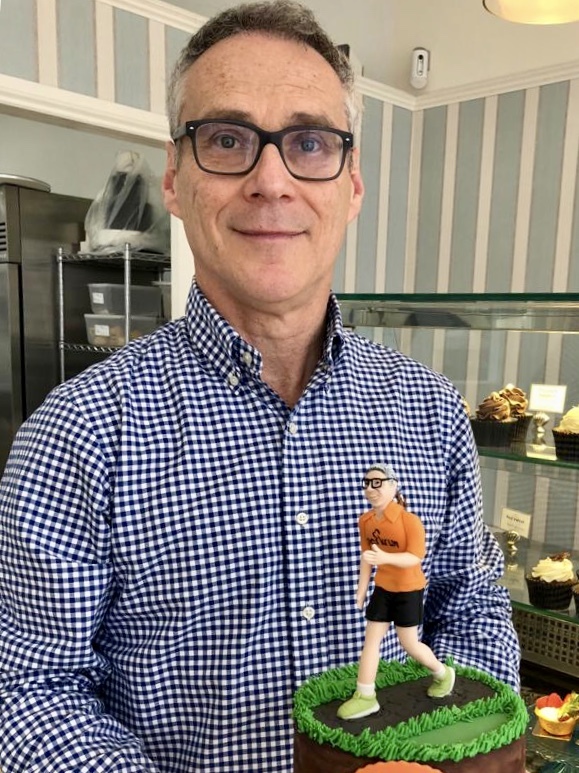 Finally Simon Holman, or rather his wife, deserve our thanks for some beautiful cupcakes on the occasion of Simon's 50th parkrun. 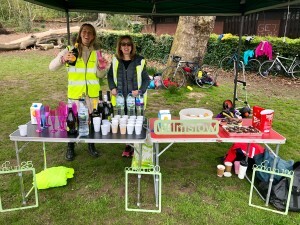 All the cakes, soft drinks and our fizzy recovery fluid, Prosecco, helped create a lovely friendly community atmosphere for a crowd of over 300 including 284 finishers plus 36 volunteers and all the spectators. We even had 2 ladies serving in the Goodies Gazebo, though Tim Brooke Taylor might challenge our use of that description. 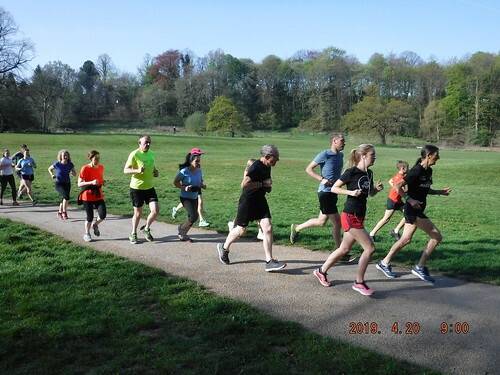 On the last day of Greenwich Mean Time till the autumn, our 284 finishers achieved the longest spread of finisher times ever, which is something we should celebrate. 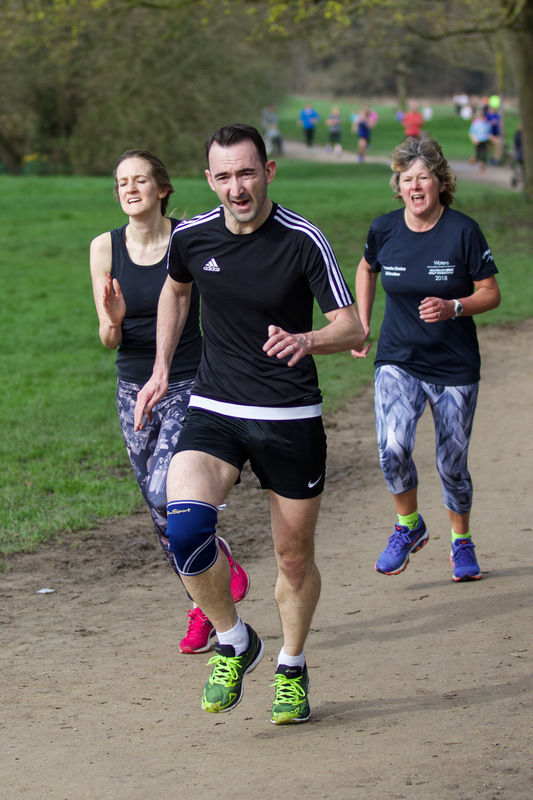 Not only do we have some pretty fast runners, we also have include slower people, for whom walking this distance is itself a cause for celebration. And it was good to see and hear all the applause and happiness of the sizable crowd remaining till the end. 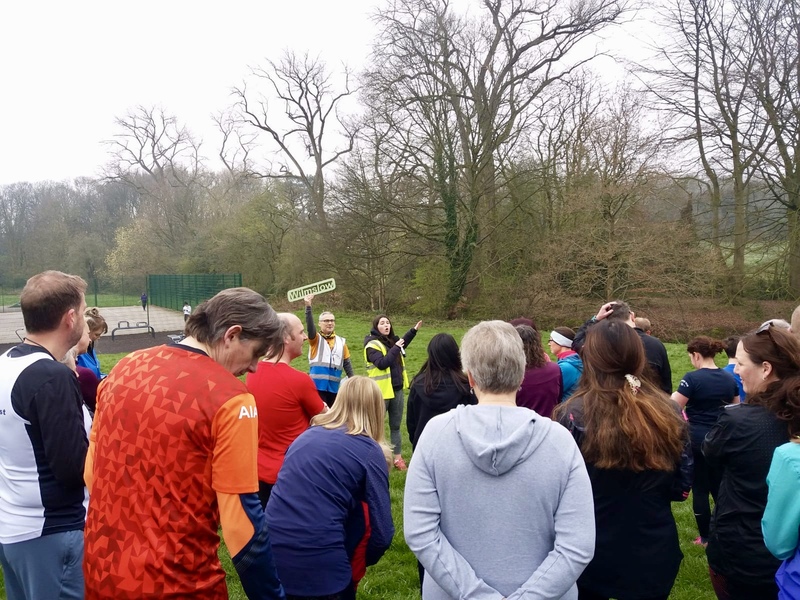 After Olivia Flannagan delivered her First timers briefing, the runners were encouraged to enter into 3 areas, the forward area for the under 25 minute runners, a middle area and towards the gate, an area for the 30 minutes and over, plus the dog walkers and buggy pushers. This was to help avoid congestion running down to the first bridge and we think it worked really well, we would appreciate some feedback from you on this. 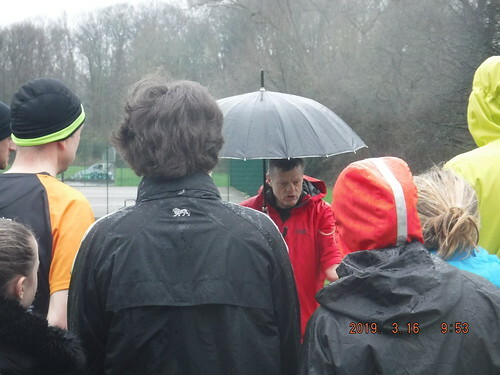 Run Director Wayne Jaffe then gave the mandatory run briefing including safety information. 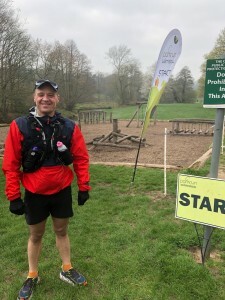 He described the recent collapse of a runner at Fountains Abbey parkrun during which CPR and defibrillators were required before a helicopter evacuation of the patient. 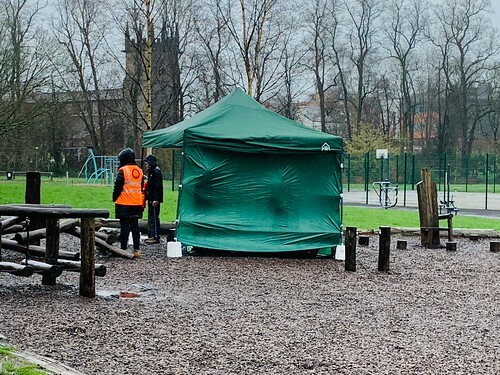 This is why we have bought the PA system so everyone can clearly here the safety briefing. 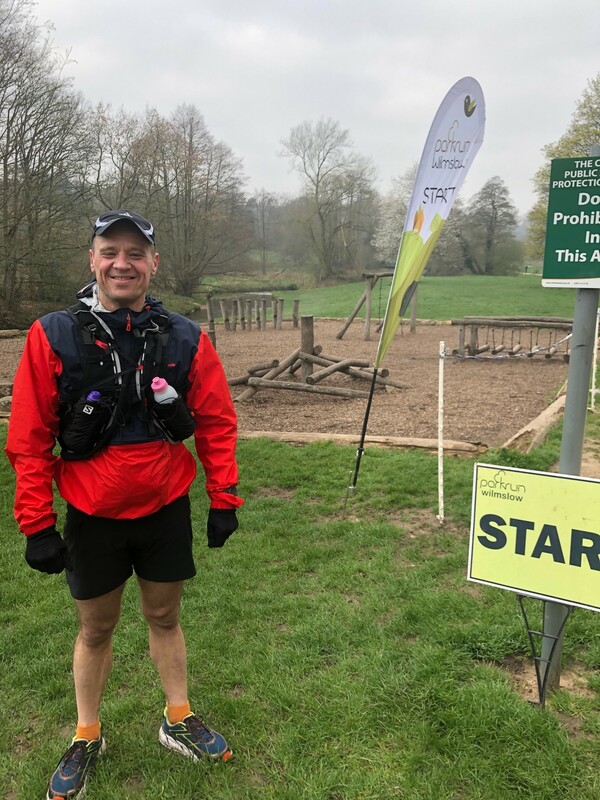 Fountains Abbey have gone one step further and now close admissions to their run 10 minutes before the start so that everyone is in position to hear the briefing. 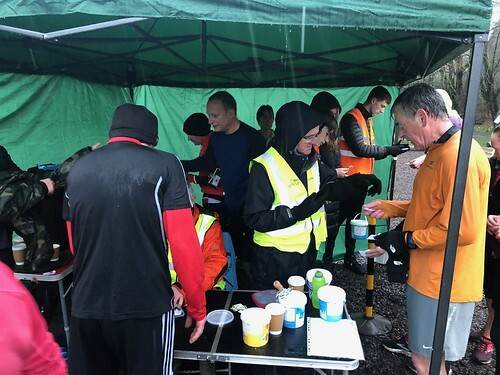 We are grateful that we have a lovely community of runners who respect the rules and the efforts the volunteers make in keeping them safe. 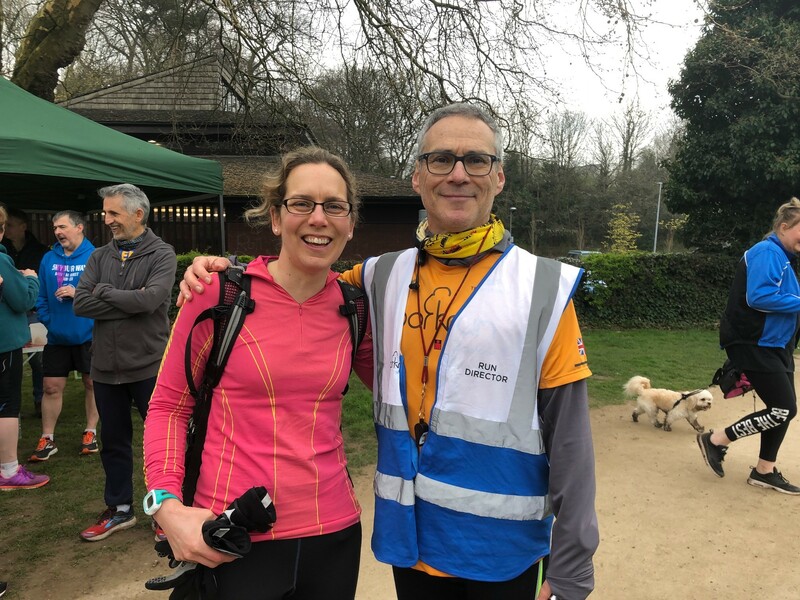 Welcome to Helen Murray, cousin of the erstwhile Anthony Butcher who has been transformed by parkrun and who is now running in the London Marathon this year, Helen is a triathlete and a Nordic Walking coach, who has qualifications in post cancer rehabilitation. 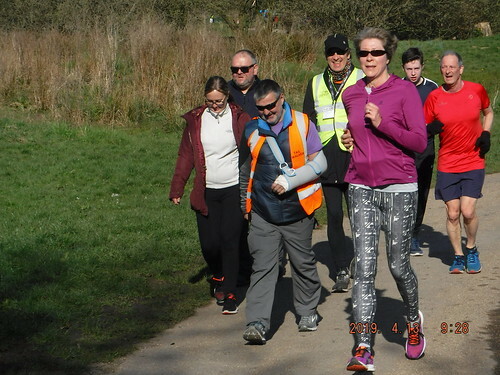 Helen came with her husband today and trained some of our runners in Nordic walking, thank you Helen! 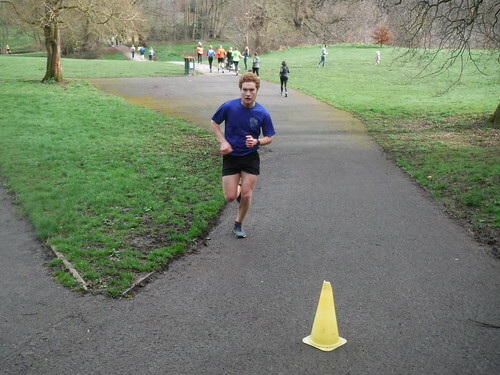 Well done to Daniel Bundred on another first male position. 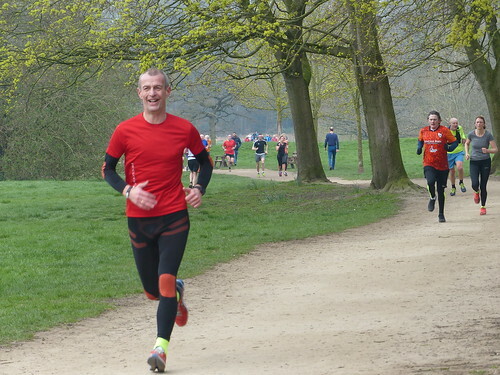 Second male was Matt Braybrooke. Third male was James Speedie. 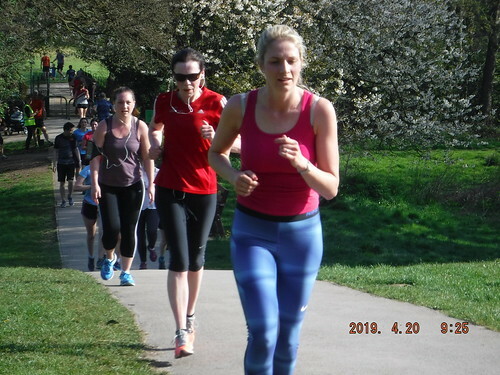 For the ladies, Sarah Cleal held off a strong challenge from Diane Bygrave to take the first female position just ahead of Diane, posting a PB in doing so! 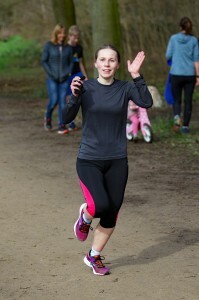 Sue Harrison was third female, also with a PB! Great efforts from the ladies with two podium PBs! 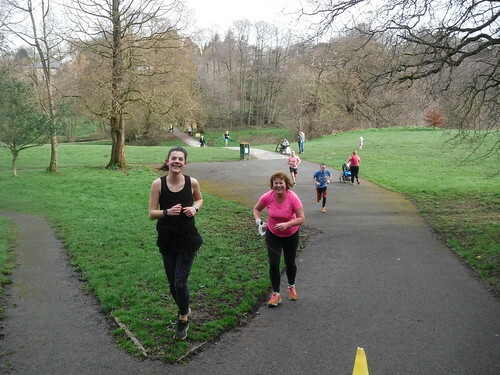 Well-done to all the first timers, there were many of you! 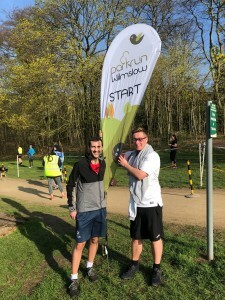 You all deserve a mention so here are the 21 complete newbies who started off their parkrun journey today, Connor Doody, Paul Hancock, Alexandra Hadfield, Harry Moore, Oscar Davies, Simon Groves, Isla and Hayley Sullivan, Xander Wilby, Margaret Worthington, Kate Evans, Kate Prasad, Andrew Jamieson, Lorraine Downing, Sarah Rydzynski, Olivia and Katrina Ibbotson, Paula Daley, Carol Robertson, Amanda Rogers and Clare Smith. 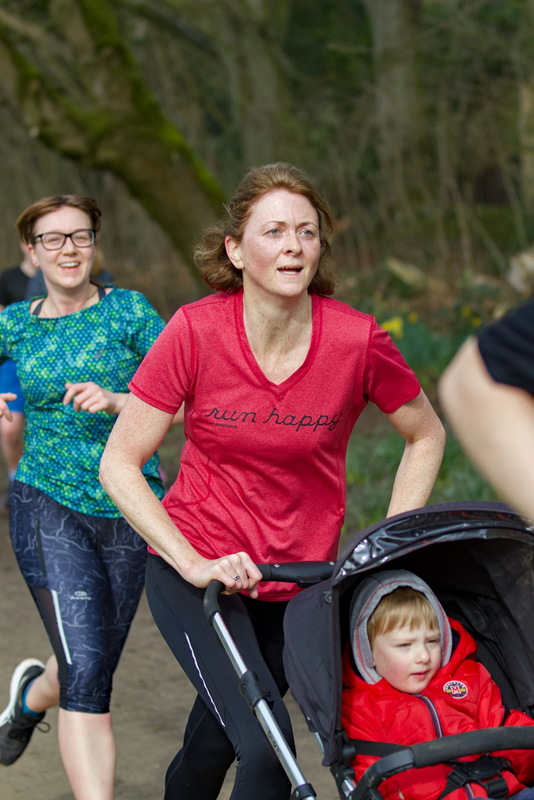 We also like to mention those who come back for their second Wilmslow parkrun with a PB, the second run is statistically the hardest one to finish! 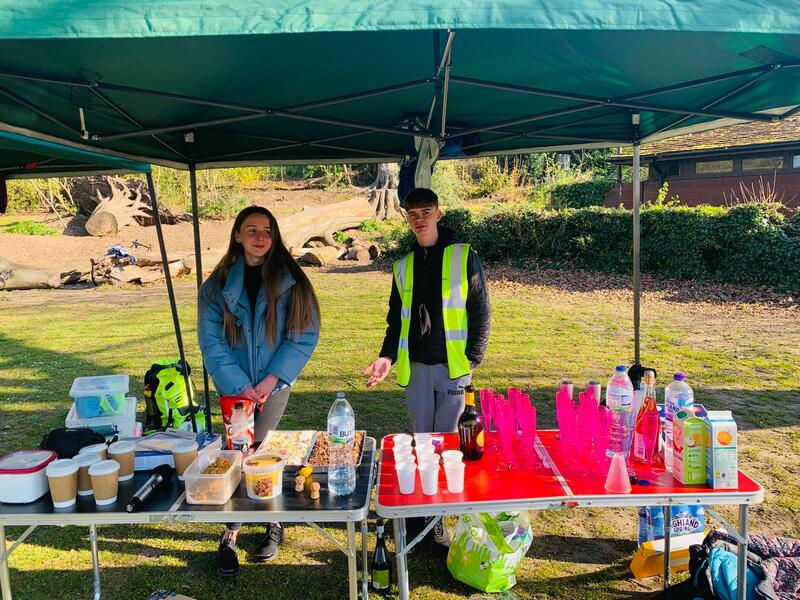 Well done Linda Pearce, Ian Ravenscroft, Rachel Schofield, Lynette Downing, Helen Krizos, Charles Lowthian, Pippa Jones, Danielle Stansfield, Sophie Stansfield and Karen Stansfield. Also welcome to all our tourists. A special mention goes to Neil Enskat who drove up from London this morning just to run here today, missed the start though Wayne gave him a shortened version of the safety briefing and off he went. He still finished in a good time and was very impressed with us here at Wilmslow. 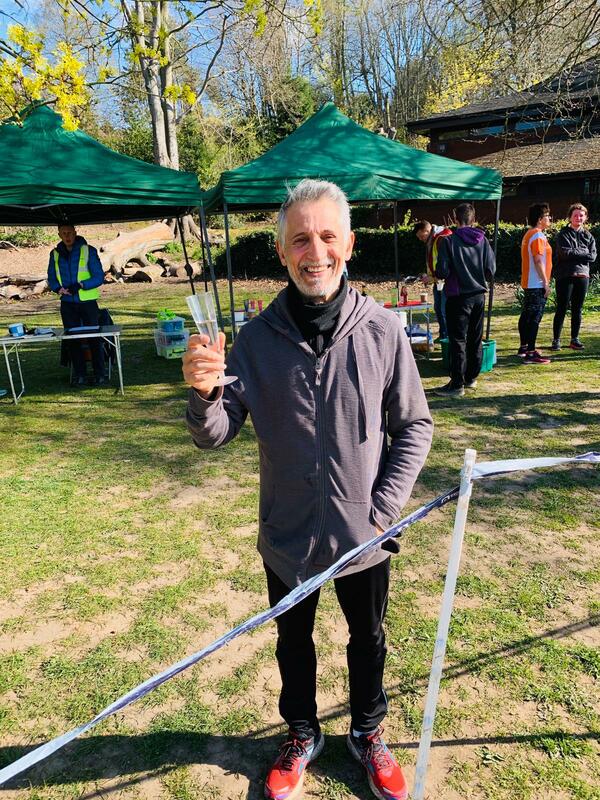 “The Best” I think he said, hopefully we may see him or members of the Ealing Eagles back in Wilmslow sometime soon, (remember the 06:36 Euston to Wilmslow parkrun Express)! 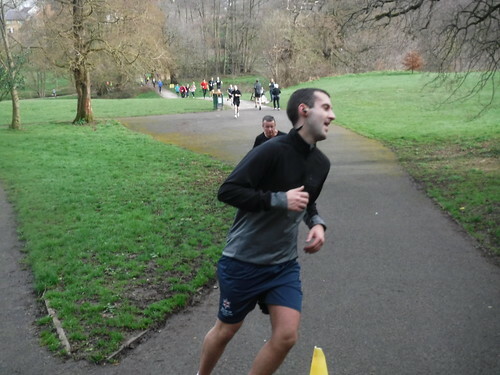 We also had a parkrunner who ran from Oldham to be with us today, before completing his first Wilmslow parkrun. That was impressive but, had he then run back……! 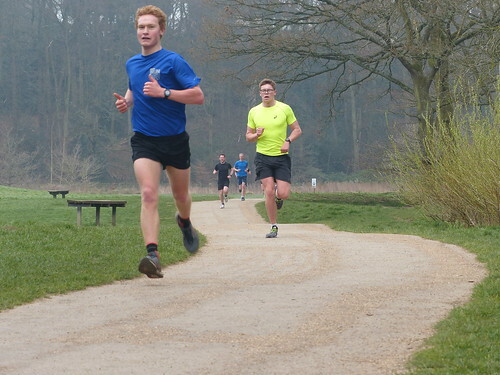 Thanks to our pacers today, we are getting a nice selection of regular pacers nowadays. Today we had Colin Davies, 96 times pacing here and Graham Duce. 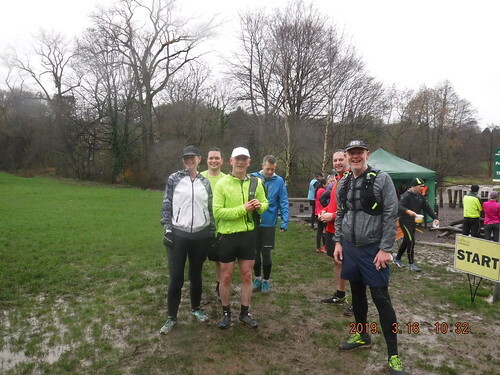 We also had two first time pacers Steve Creasey and Ben Smithers, who joined us from Preston and has promised us a tourist run report sometime soon! 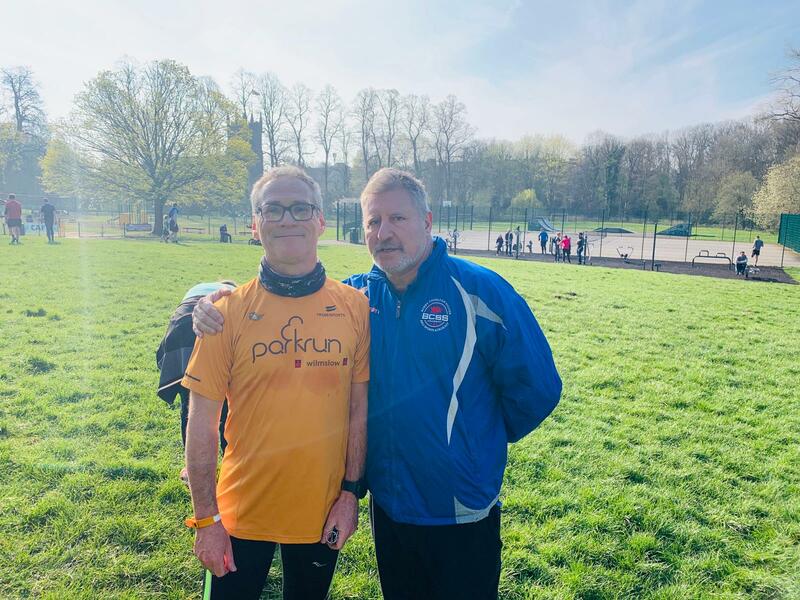 Thanks to our photographers, Roger Whitehead and for the first time Stuart Anderson, who volunteered as he was injured, so couldn’t run. Thank you both so much! 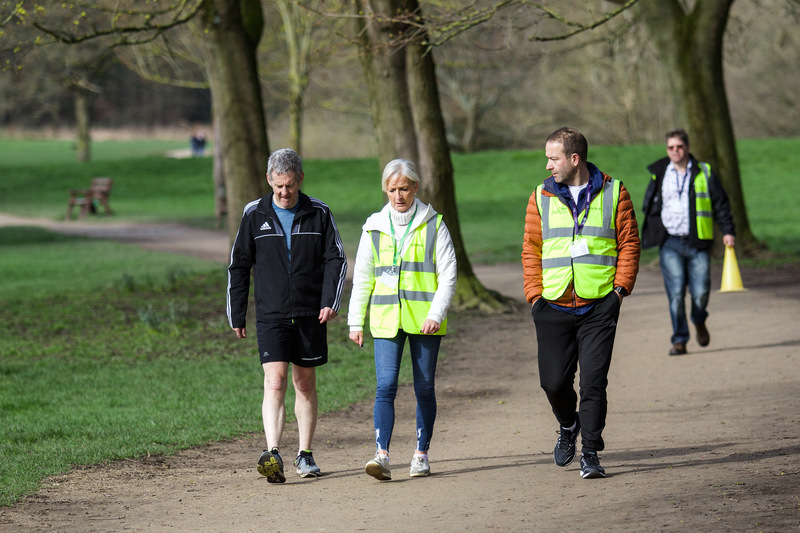 Of course we need to thank all the volunteers who contribute so much to the safe and efficient running of this parkrun. 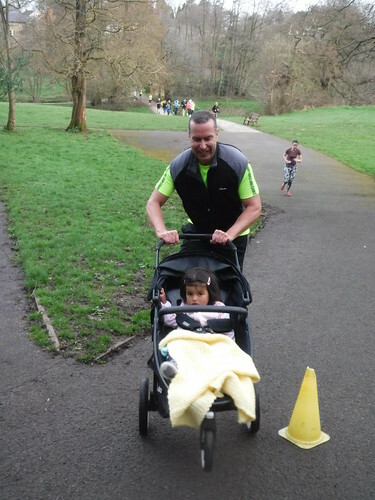 Please do join in, someone thought you could only volunteer if you had run 10 times! No No No, you can volunteer and never run, but don’t run and never volunteer! Gillian Holland Jones ended up walking in and helped Helen Yates in the Goody gazebo so we are always willing to accommodate last minute helpers where we can. 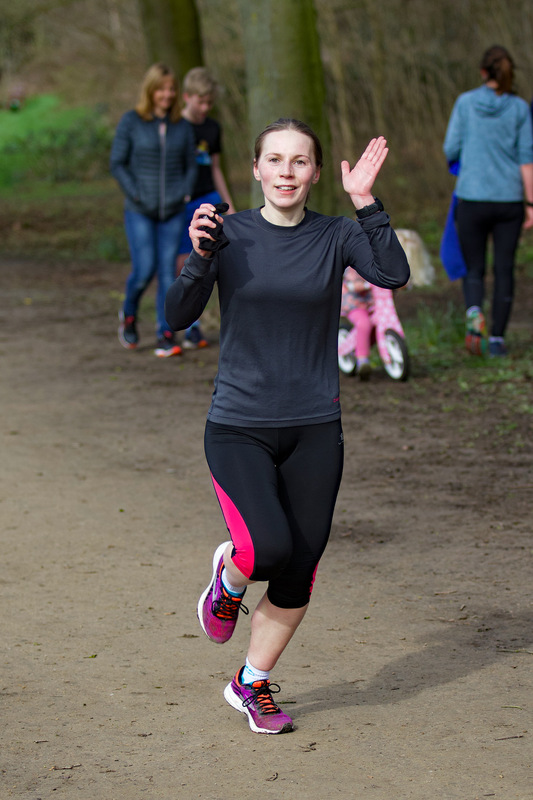 Please do email in to our brand new email address, wilmslow@parkrun.com if you can help. We also have a new Instagram account, wilmslowparkrun so please follow us there as well as on Facebook and Twitter. 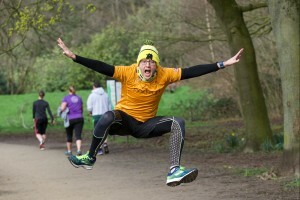 Well done to all those who achieved a PB, there were 59 of you which is awesome. 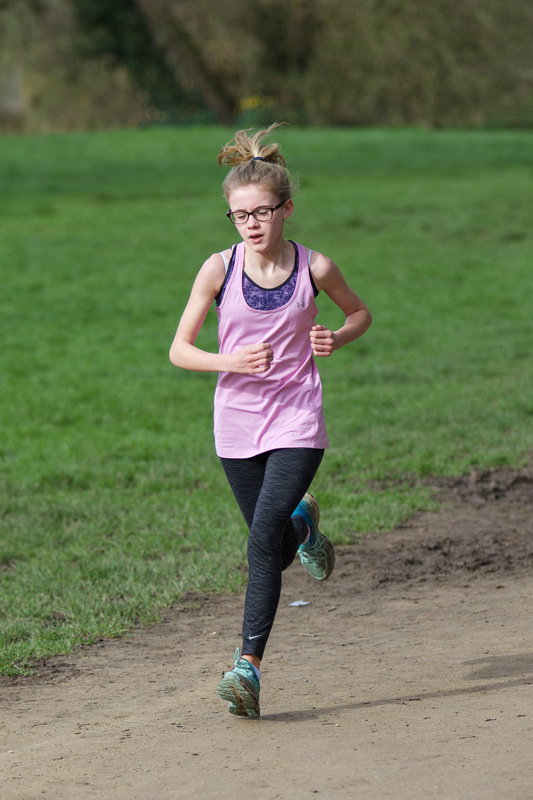 Special mention to Emily Hough and her dad Richard who both achieved PBs. 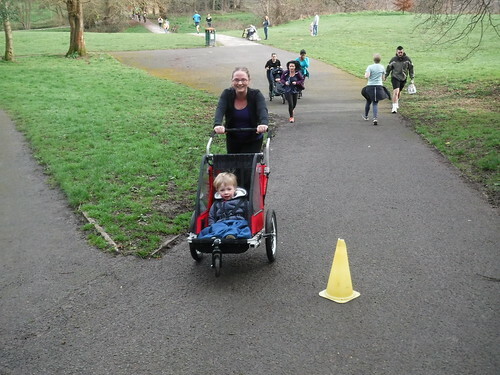 One step further we had Sam, as well as Parents Luke and Rachel who all achieved PBs as a family today. 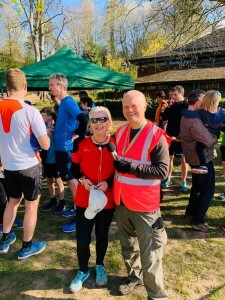 Next week on the milestone chart, Diane Bygrave, todays second lady finisher on 50, Brian Fox also potentially on 50, similarly Barry Powers on 50. Further ahead, Duncan Robertson is on 98, and Colin Davies in on 391. 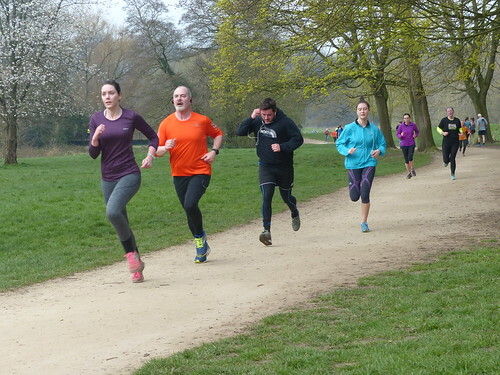 A big milestone is for us, yes Wilmslow parkrun will be 4 on April 13th, this should also be a special event! And we can’t leave without thanking the World Ladies Marathon Record holder, Paula Radcliffe, who sent this brilliant video message to us all here at Wilmslow parkrun. We say thank you Paula, and we did as you asked! Well done to all those who ran the Wilmslow Running Festival, here are a couple proudly running in their T-Shirts. Remember the clocks go forward tonight! 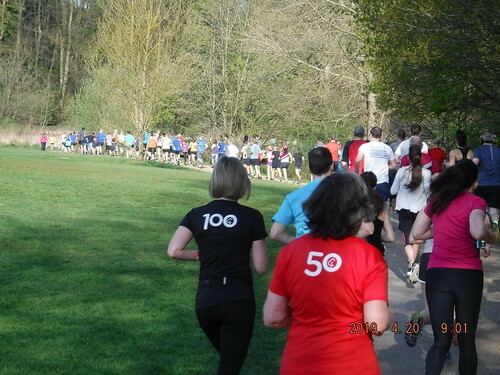 This week 284 people ran, jogged and walked the course, of whom 50 were first timers and 59 recorded new Personal Bests. Representatives of 28 different clubs took part. 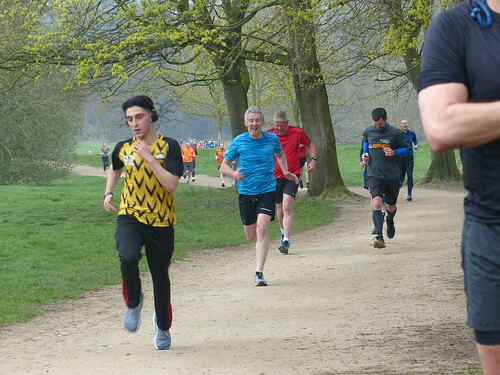 Wilmslow parkrun started on 11th April 2015. 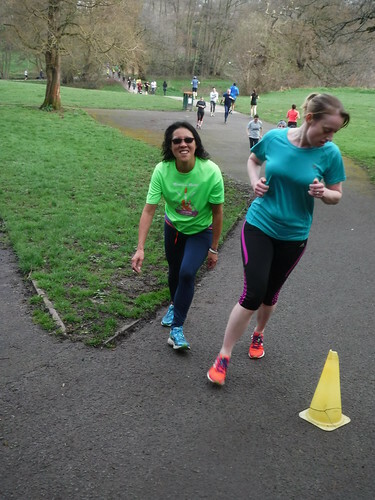 Since then 5,939 participants have completed 32,355 parkruns covering a total distance of 161,775 km, including 6,124 new Personal Bests. A total of 433 individuals have volunteered 4,531 times. 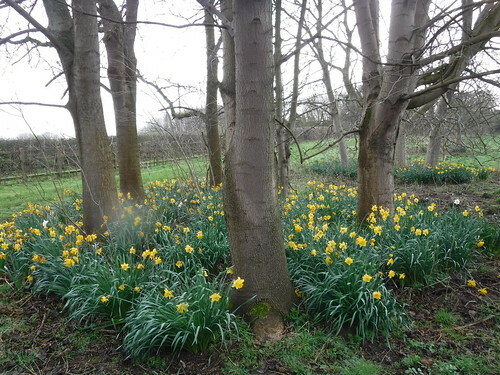 Spring has Sprung and Treena bags a record! The first parkrun of Spring 2019 and it actually felt like spring as well. 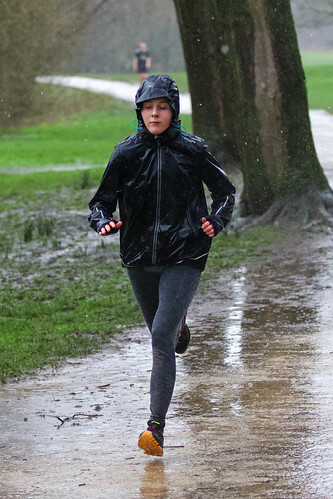 No flying gazebos, damp marshals, puddles to swim through, overflowing rivers or soggy runners. I’m sure there will be more events like that over time but for now it was lovely to enjoy the moment and bask in a little bit of sunshine. 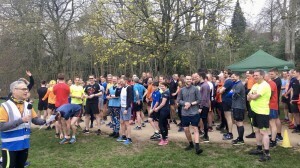 212 runners joined us today to enjoy Parkrun day, it’s no longer know as Saturday! The Artisan Market was on in the town centre so I hope you all had a chance to visit, it’s a monthly event and well worth a walk round. 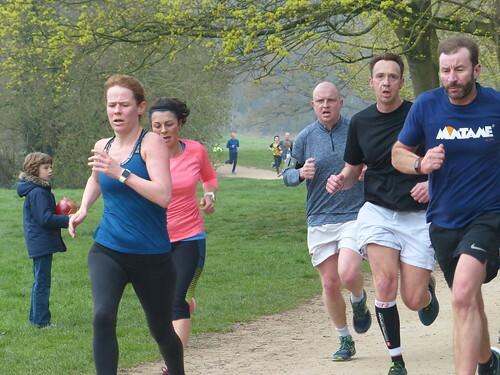 Consider it a parkrun Cooldown. 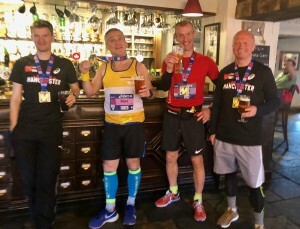 For today’s event we had 4 pacers. 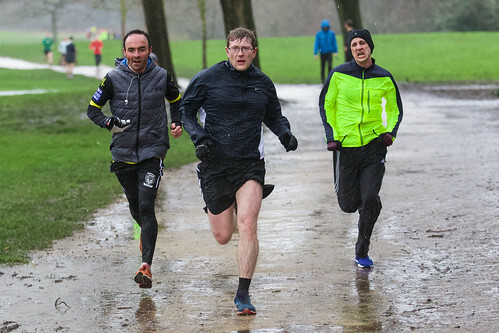 Patrick Dixon at 26 mins, Tony Collier at 30, Ian Rankin at 31 and John Tasker at 32 minutes. 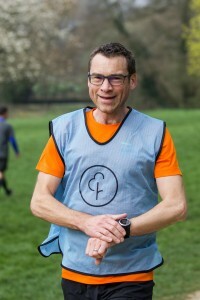 Running with one of our volunteer pacers is great if you are trying to get a faster time, they take away all the worry of working out how to get to your target time, all you have to do is keep up with them, I ran with Ian today and we were right on target and I never looked at my watch once. Time to move up for the 30 minutes target next for me. If you have a target then just let any of the Core Team know, Mat, Simon, Wayne, Nicky, Rich, Sarah, Olivia, Ian or Bev and we can try find someone to pace you, our pacers have quite a broad range so we can accommodate most challenges. Good luck to everyone taking part in the Wilmslow Running Festival tomorrow. 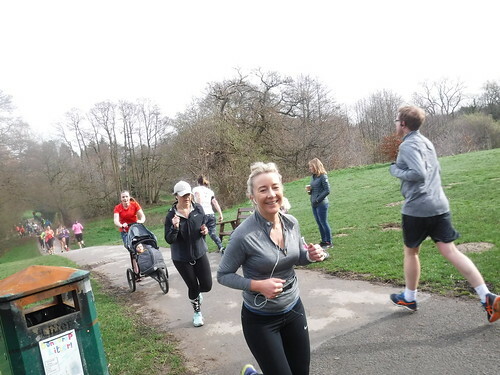 A new concept this year, the Half Marathon has been an annual event for many years, this year sees the addition of a 10K and fun run. 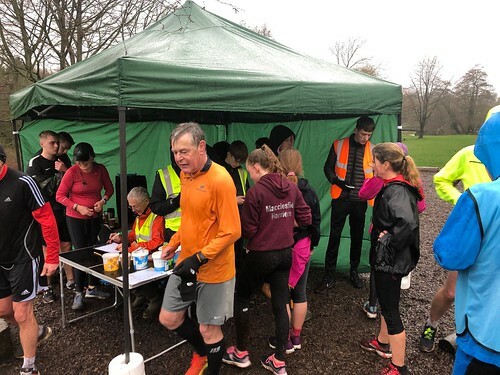 Thanks to everyone as always who has helped to organise this event, many of whom are regular Wilmslow parkrun runners themselves. I am sure they will be busy filling those goodies bags and sorting medals out as I write this. 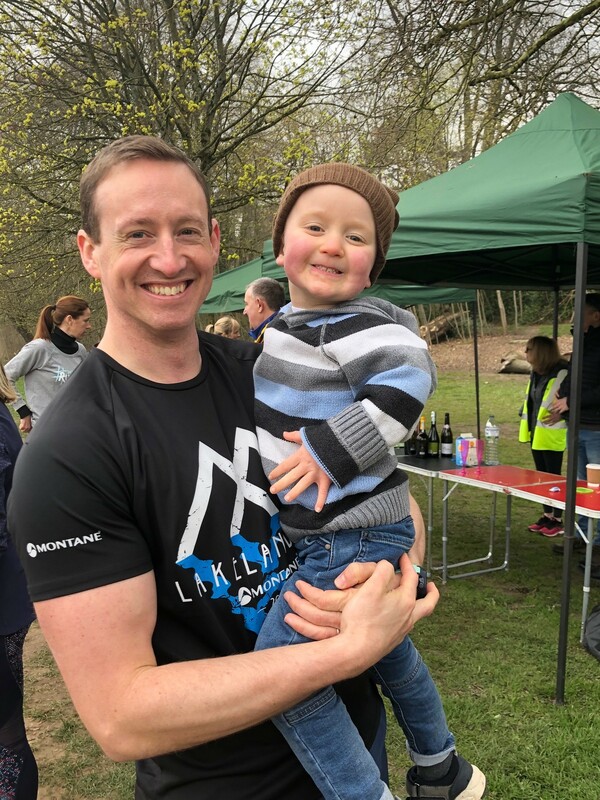 Dare I say the forecast looks better for this year’s event and we are looking forward to seeing many of you on the start line. 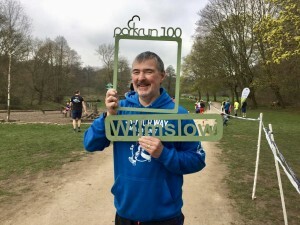 Please post your race medal photos on FaceBook or Twitter, for the Wilmslow runs or any events you are doing this weekend, such as the London Landmarks Half Marathon. 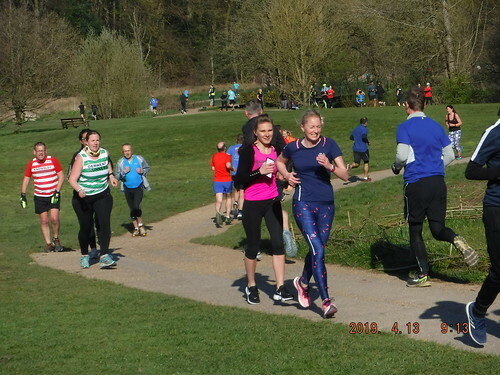 And reverse order for the ladies, Sue Harrison, Laura Keay and first place taken by one of our visitors from Dewsbury Treena Johnson. 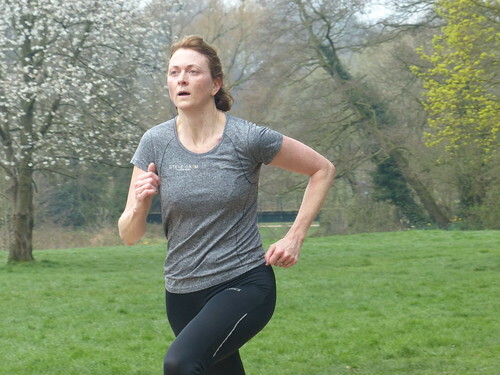 Not only did Treena come first, Treena has now taken over as the leading Age Graded athlete at Wilmslow parkrun, a record that has stood since Ann-Marie Jones set it on the 22nd December 2018. 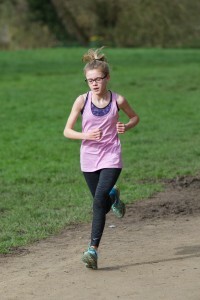 Well Done Treena, who is now also our oldest first placed athlete! Well done to all the podium peeps! Time now to give a huge Wilmslow welcome to our first timers. Gavin Traylor, Louise Sharma, Eleanor Hughes Craig Yule, Ian Ravenscroft, Lynette Downing, Caitlin Reidy, Colin Abbott and our very own “SuperMarshal” Tony Flannagan. Tony helped out and cheered you all on with great enthusiasm more times than I can remember and I am sure many PB’s have been set with that extra loud cheer from Tony to keeping you going so it’s time we all gave a huge cheer and well done back to him, it was a lovely moment when you and Saeed Shakibai another of our always smiling regulars crossed the line together. Only 2 milestones this week, Nick Hamer reached his 100th parkrun and very kindly brought some chocolates to help celebrate the occasion. 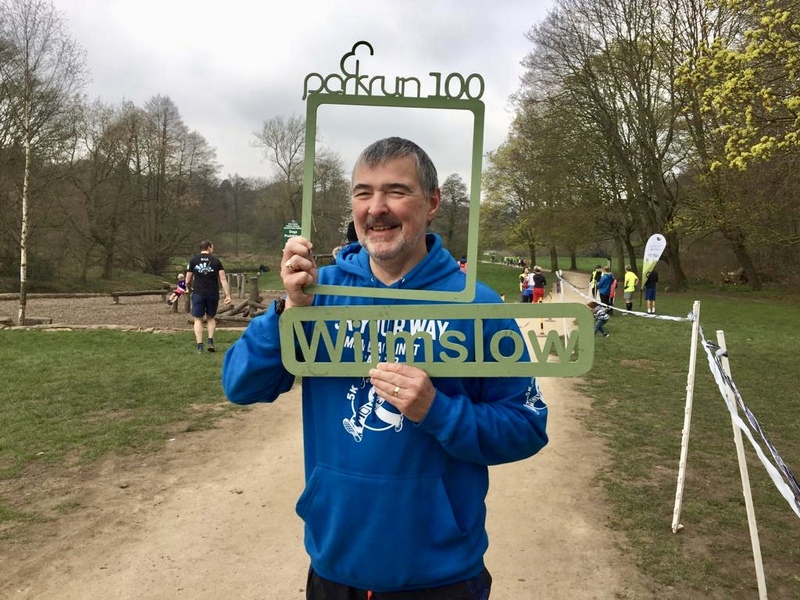 Ian Rankin completed his 101st Wilmslow parkrun, we missed his 100th!!! 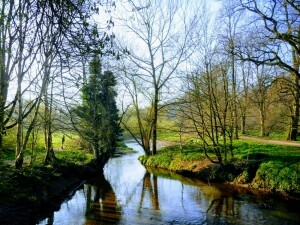 And you all got some much-deserved dry weather and sunshine today. Long may it continue. 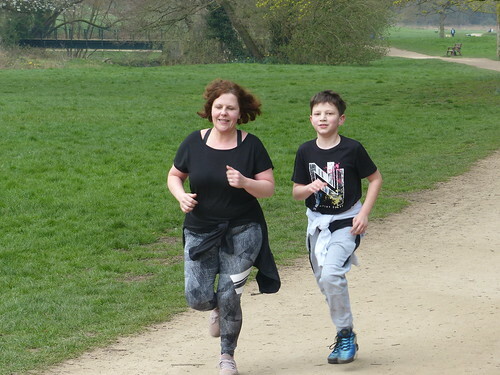 See you all next week when not only is it the day before Mother's Day,( book that table folks, the clocks also go forward next week), because it the last parkrun of the month, we will have the second of our regular 5KYourWay cancer support group meetings. 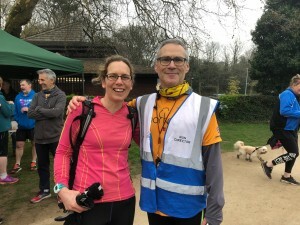 You will probably know that these are organised locally by Tony Collier and Sara Harris and are a brilliant new initiative between Cancer 5kYourWay and parkrun. 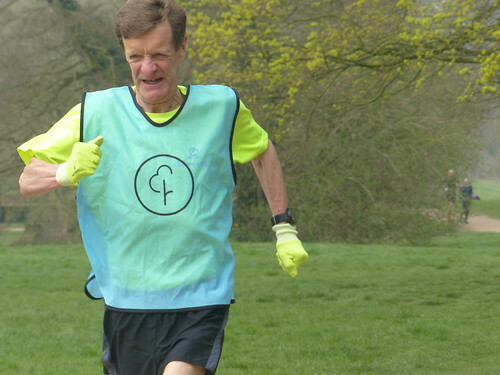 To make it even more special, it will be Tony Collier's 100th milestone run! 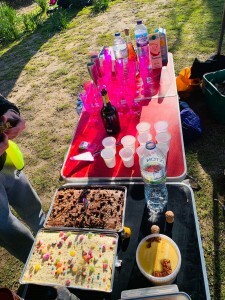 And to make even even more special, he has a shed load of cakes, juices and prosecco that he is bringing to celebrate his fantastic milestone acheivement! Also with a 100 milestone will be Andrew Dodd, so more celebrating! 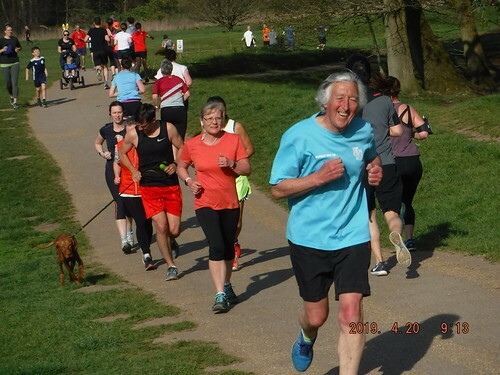 And not to forget alsom about Helen Louise John who has could be completing her red T-shirt moment, her 50th parkrun. 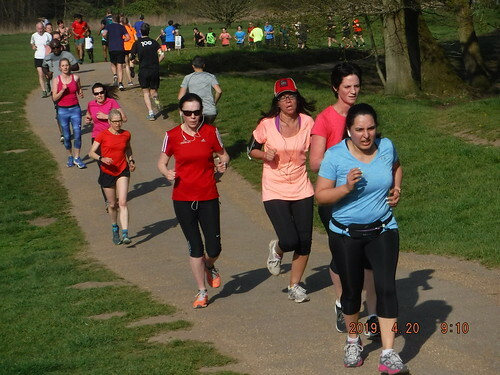 It is all happening next week at Wilmslow parkrun, bring your friends, and Don't Forget Your Barcode, #DFYB. 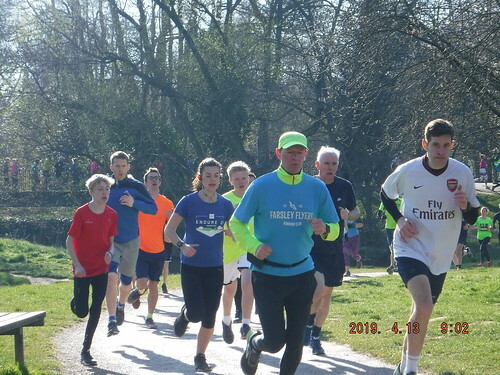 Finally, April 13th, will be our Fourth Anniversary parkrun, so special events galore coming up! 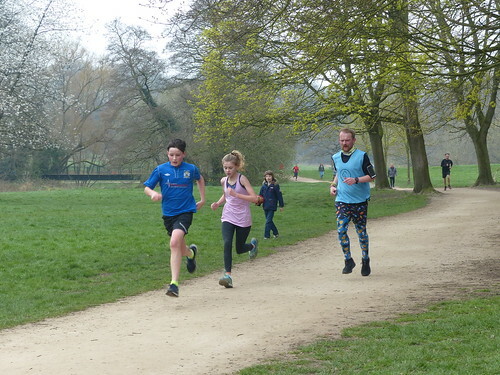 This week 212 people ran, jogged and walked the course, of whom 22 were first timers and 40 recorded new Personal Bests. Representatives of 21 different clubs took part. 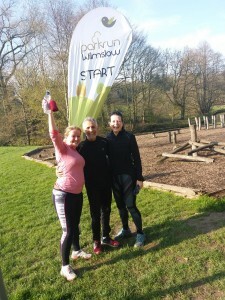 Wilmslow parkrun started on 11th April 2015. 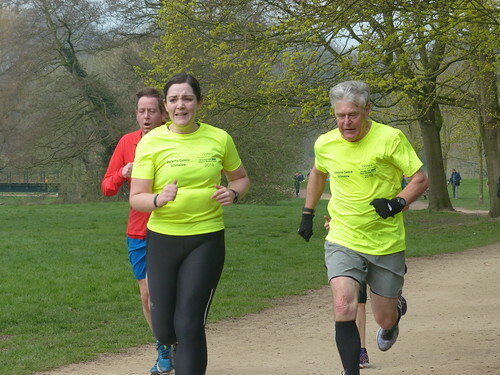 Since then 5,889 participants have completed 32,071 parkruns covering a total distance of 160,355 km, including 6,065 new Personal Bests. A total of 427 individuals have volunteered 4,494 times. Marti Pellow is the lead singer for which 80′s pop group? 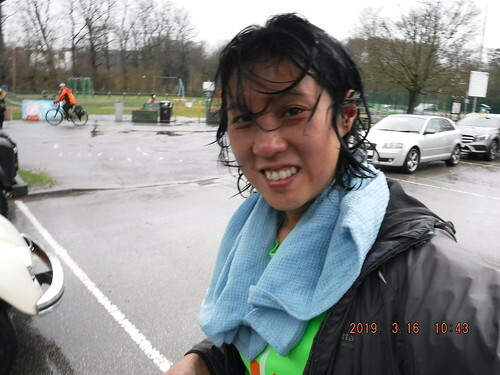 Correct, wet, wet, wet! 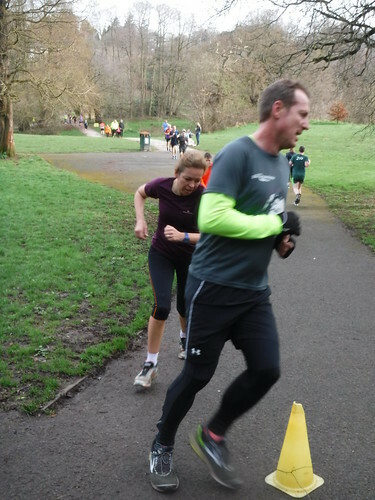 And that just about sums up today’s 209th parkrun! 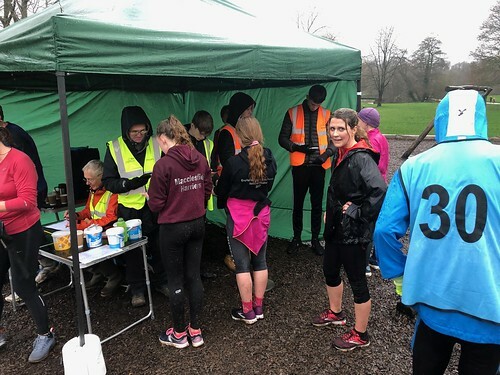 To everyone’s credit, we had so many volunteers coming forward to help, and judging by the small group of people huddled under the convalescing gazebo after last week’s storm, there could have been more volunteers than runners. 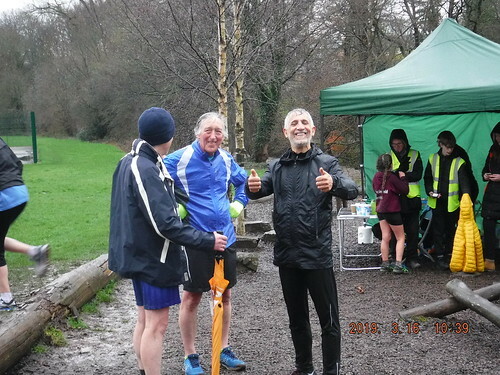 But you didn’t let us down and in really miserable, sodden conditions 157 turned up, smiling and eager to go. 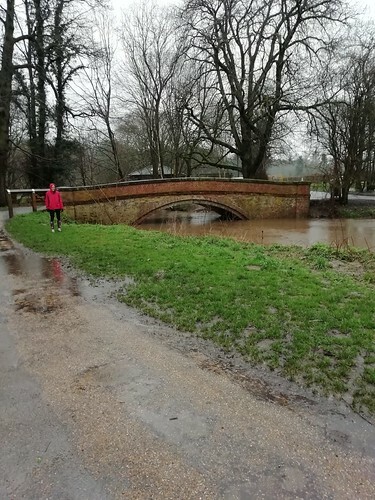 Due to the conditions, (Wilmslow Market was cancelled), two more volunteering roles have been created, Lifeguard and Tail swimmer! 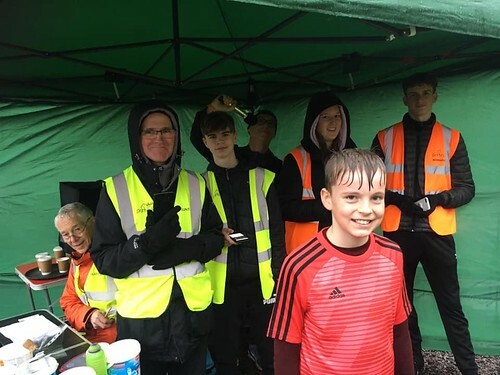 (Thank's Colin) But let’s hear it for the amazing people who turn up, week in, week out, WHATEVER the weather, the Volunteers! You are never too young to volunteer! Time to dip your toe in the water! Leigh HUGHES • Ian ASHCROFT • Roger WHITEHEAD • Colin DAVIES • Laura FAIRHURST • Claire NORTHCOTE • Andrew DOOLEY • Tom CURRAN • David TUCKER • William POOLE • Mat REES • Alexander MOSS • Wayne JAFFE • Waihong SHEK • Simon ARMITT • Rebecca DUFF • Olivia FLANNAGAN • Paul RANDS • Alastair BREMNER • Sheena EGAN • Andrew KEAY • Chloe LLOYD • Tony FLANNAGAN • Tracy BOWN • Maya DALGAARD • Rachel BURDEN • Talia MOUSSAOUI • Lola FISCHER • Ethan POWER • Joseph HARTLEY. If we could give extra kudos to those who battle the elements to stand in the cold and rain, we would do so, but for now, just feel the immense love we have for you all! Lets all wish a very Happy Birthday to Duke of Edinburgh student, Alex Moss! Thanks for turning up on your big day! 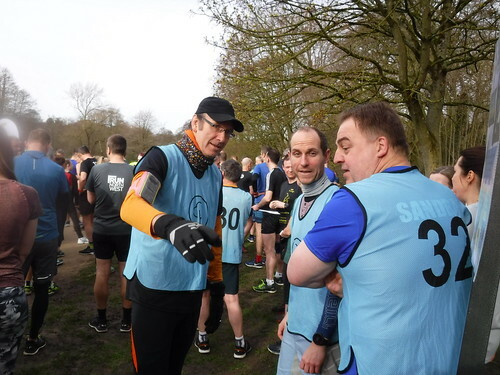 Simon Armitt, broken toe and all, turned up, ignoring the pain and gave the first timers briefing. Olivia Flanagan then took the mike from the somewhat concussed PA system, again due to a nasty triple-Salchow that went awry during the storm last week. But in a weather shortened briefing, you all listened and then went for it. 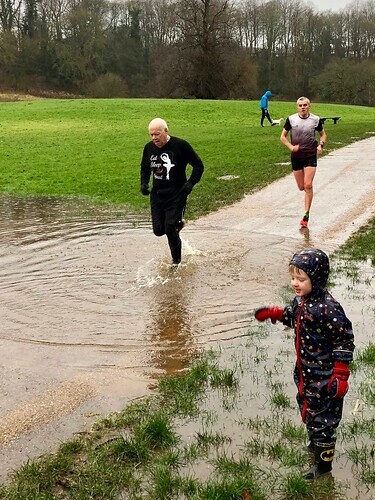 It was more like a tough mudder combined with a steeplechase with full width puddles across the path, the widest and deepest being the newly christened #Lake Burden for reasons explained in the photograph. And do feel sorry for regular photographer, Roger Whitehead who abandoned his role early due to the heavy rain and lack of protection, and light for his expensive equipment. Check out his snaps in Flickr. Also thanks to Waihong Shek and Mat Rees for the others. 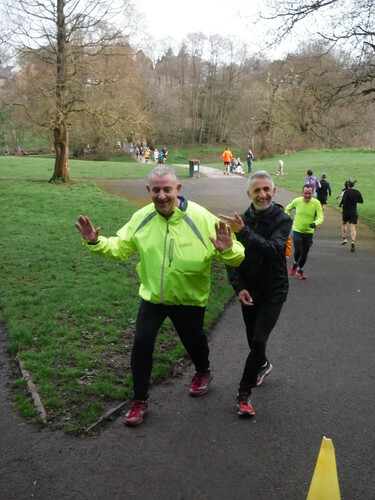 Smiling as always, our pacers today, Colin Davies and Ian Rankin. Congratulations to Daniel Bundred who lead from the front, to take first spot. Jim Pendrill was second male and Tim Copley was the third male. Zoe Gmerek was first lady. 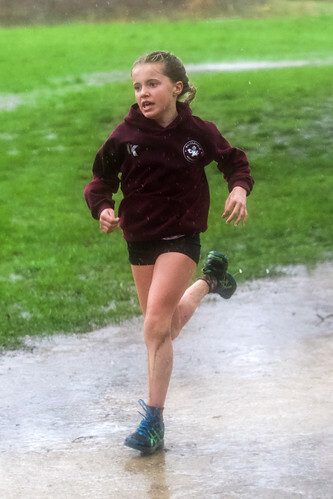 Rebecca Jackson took second and Victoria McKibben took third female spot. Well done to all the podium people. Our first time Newbies were Elizabeth and Victoria Sinclair, Paul Feather, Aarin Wood, Alex Solk, Garteh Roberts, Holly Hodkin, James Hargreaves and Rosemary Collins. 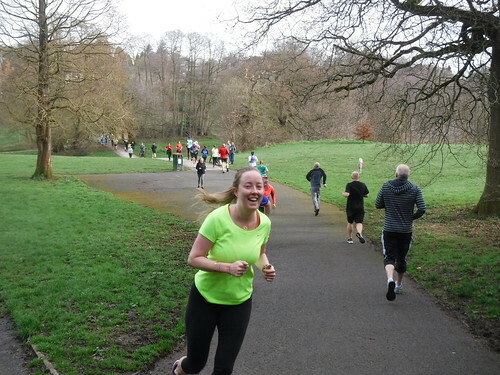 Fantastic of you to turn up and start your parkrun journey. You won’t have many more difficult days than today! And next time will almost certainly be a PB! 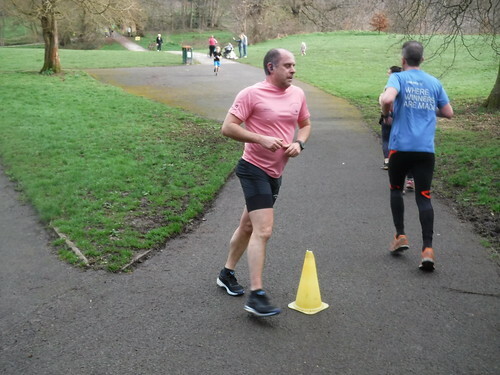 Congratulations to those on their difficult second parkrun who got a PB today, Frasier Sinclair, Ben Ingram, Dominic Ogara and Jenny Anderson, well done to you four and the other 16 PB runners. How can you not be inspired by the volunteers, young and old? Please do sign up and help with the rota. Just email in to the office. 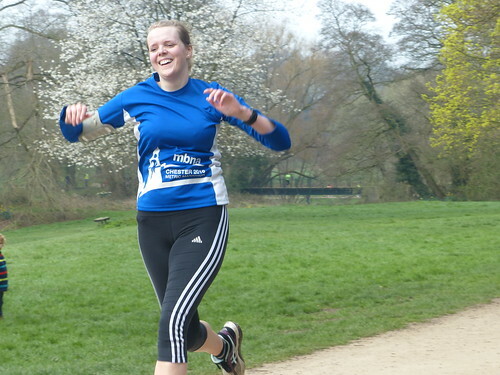 Good luck to everyone running the Wilmslow Half Marathon, London Landmarks Half Marathon and any other race next weekend. Nick Hamer could be running his 100th parkrun next week, if any other milestones do let us know! 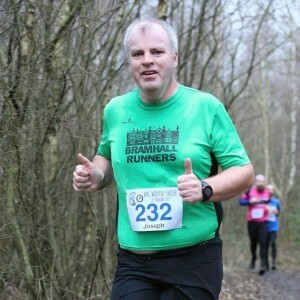 Joseph Connor is running the London Marathon in a months time and is holding a quiz night and hotpot supper at Macclesfield Conservative Club, raising funds for the Together Trust in Cheadle. Tickets are just £5 and pay in advance via joseph.conner@hotmail.com or at the door. In 2 weeks, March 30th, we have the next cancer 5KYourWay event. 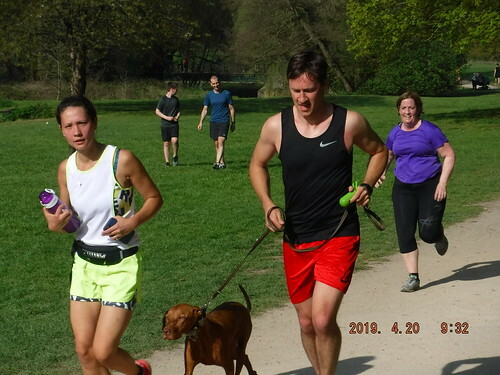 And on April 13th, we have our fourth anniversary parkrun. Lot's happening, see you very soon! Thanks for reaching this far, more grainy photos below! 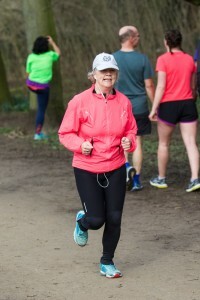 The Age Grade course record is held by Ann-Marie JONES who recorded 91.14% (22:35) on 22nd December 2018 (event number 195). 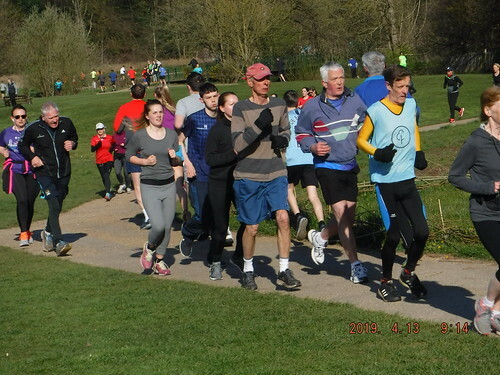 Wilmslow parkrun started on 11th April 2015. 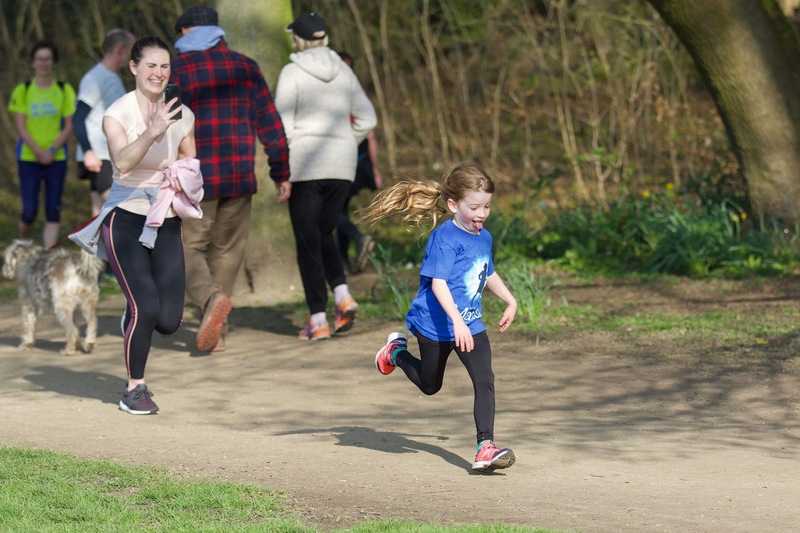 Since then 5,868 participants have completed 31,859 parkruns covering a total distance of 159,295 km, including 6,026 new Personal Bests. A total of 423 individuals have volunteered 4,462 times.